This is the parallel version of the grid pattern and now I used two colors to help understanding the way of the cords. This is the first time I like the back side pattern better than the front side. 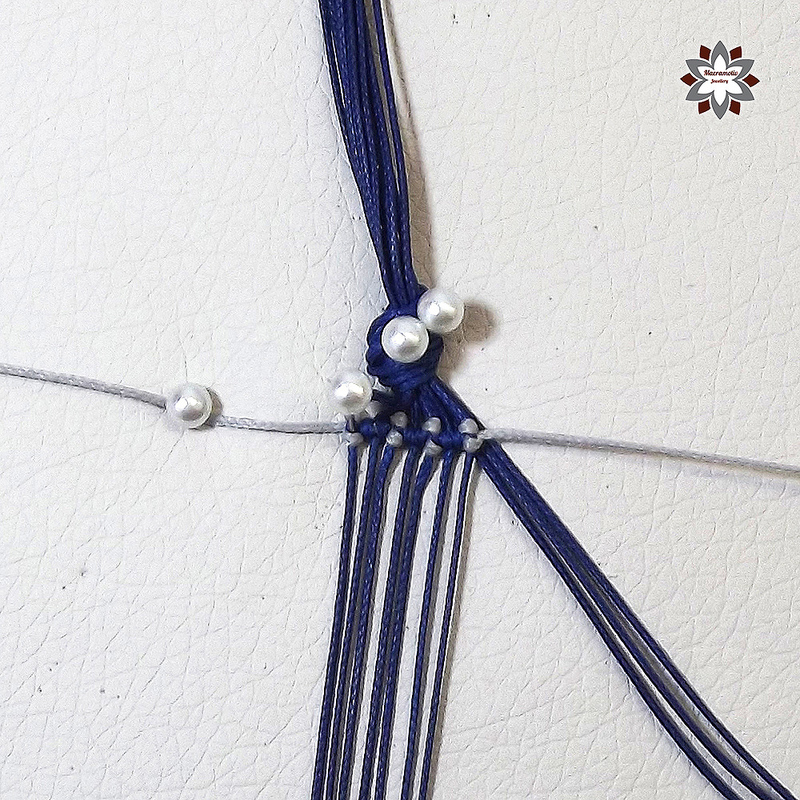 😀 So if you do so, you can wear both sides and you can make the finishing steps inversely. 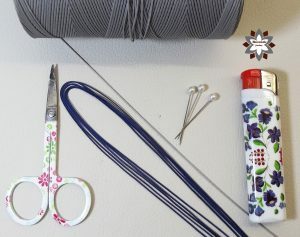 As you prepare the blue cords, the first one and the last one should be the shorter 45cm cords and in the middle the longer 8 x 60cm cords. 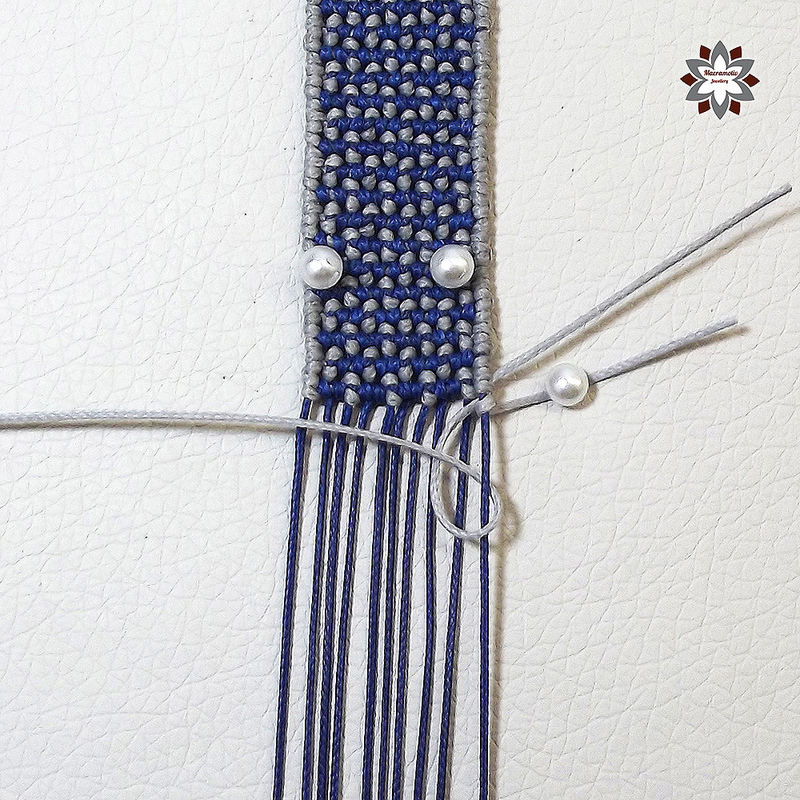 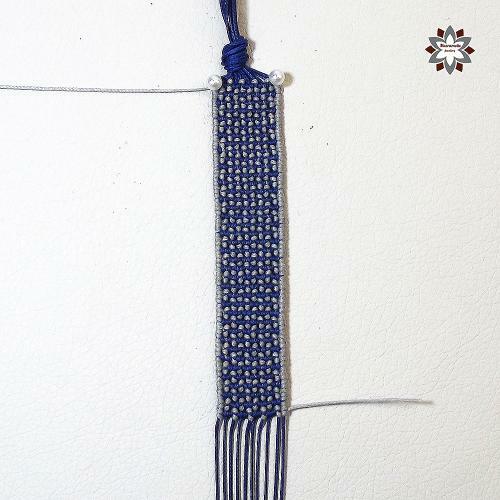 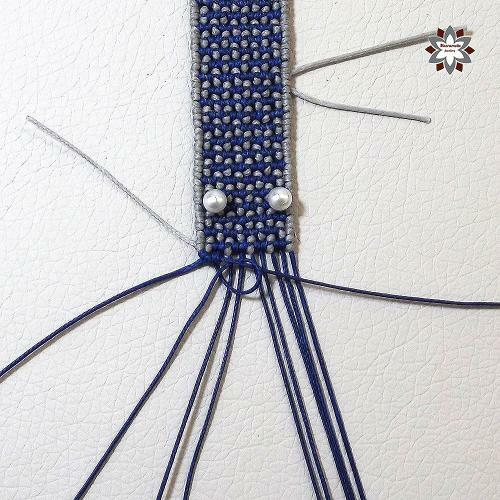 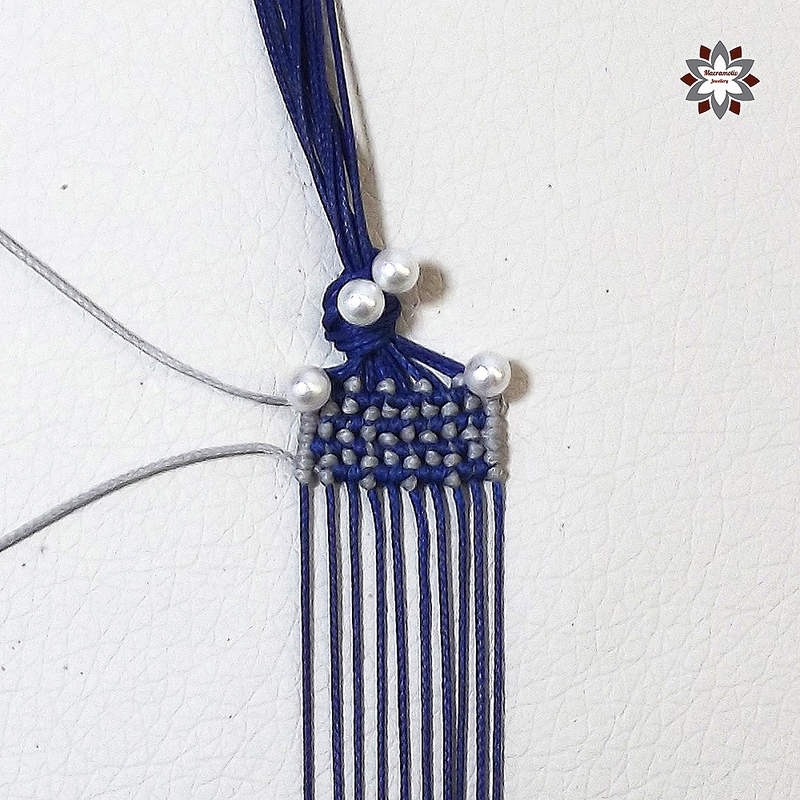 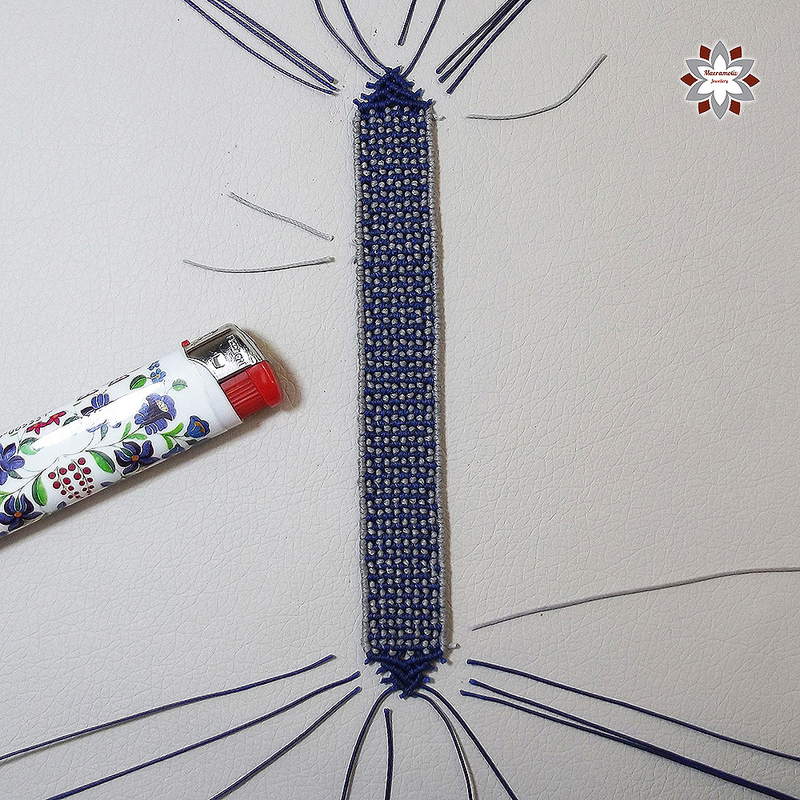 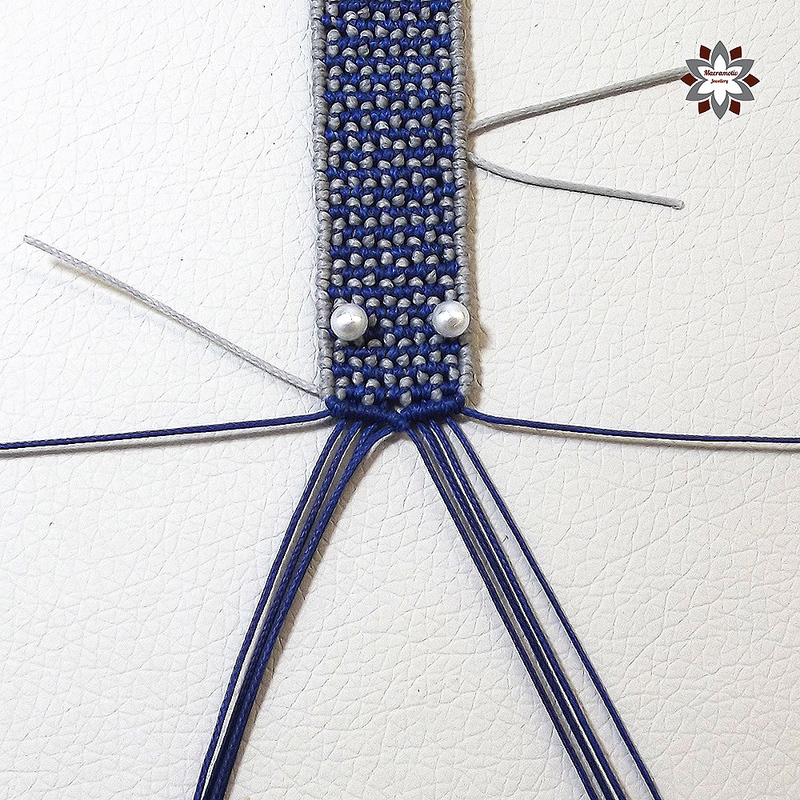 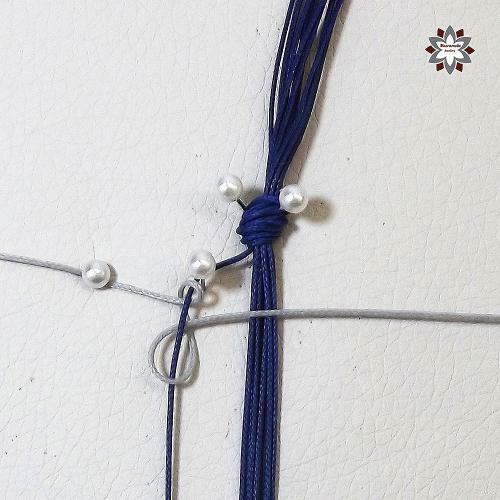 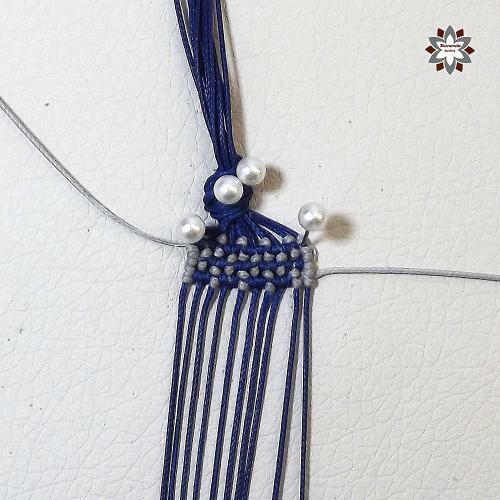 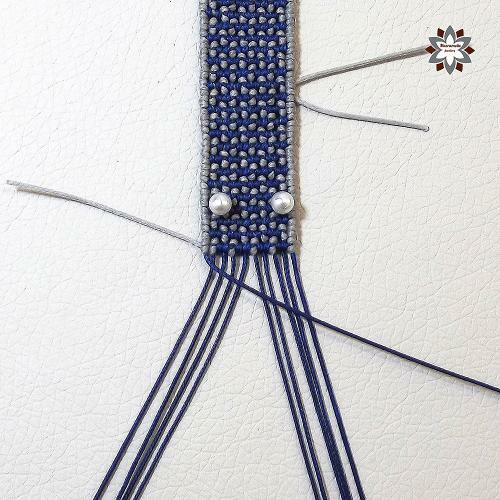 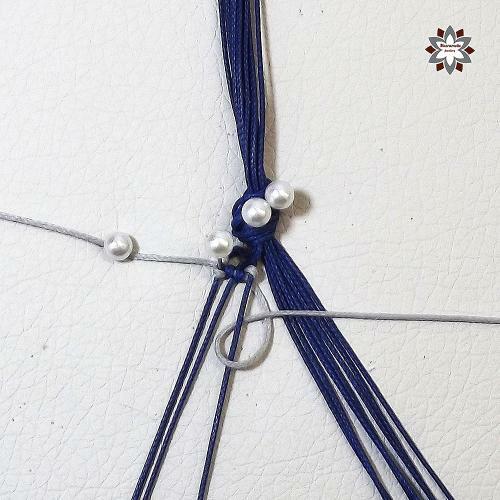 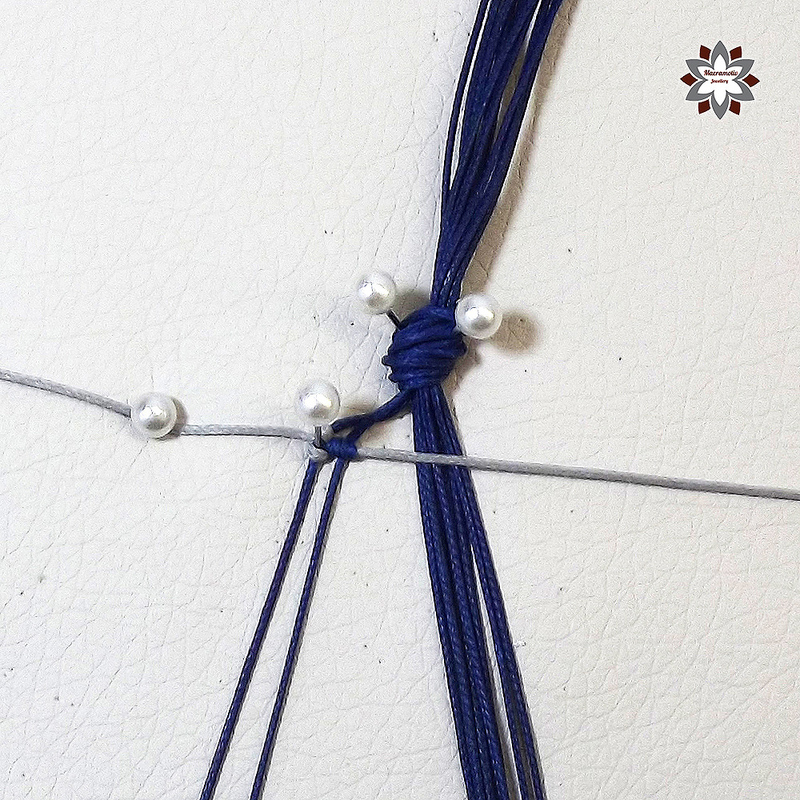 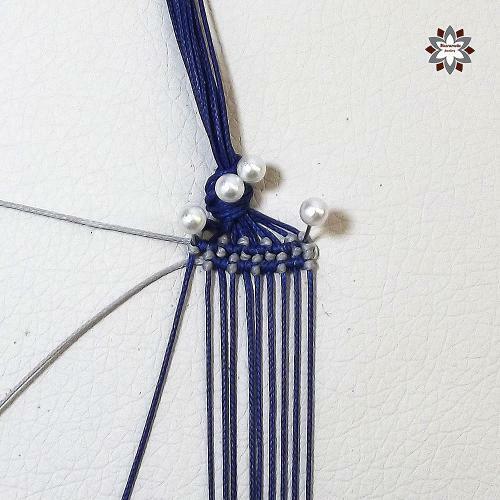 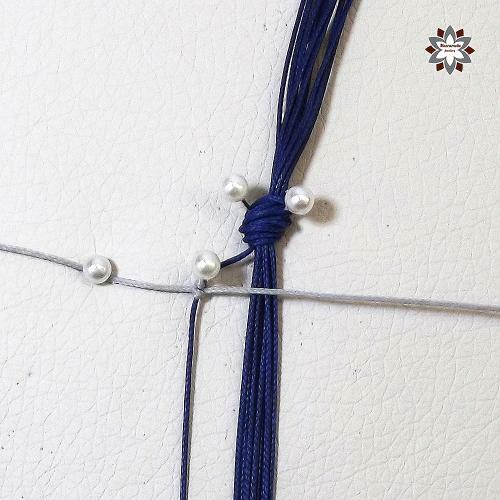 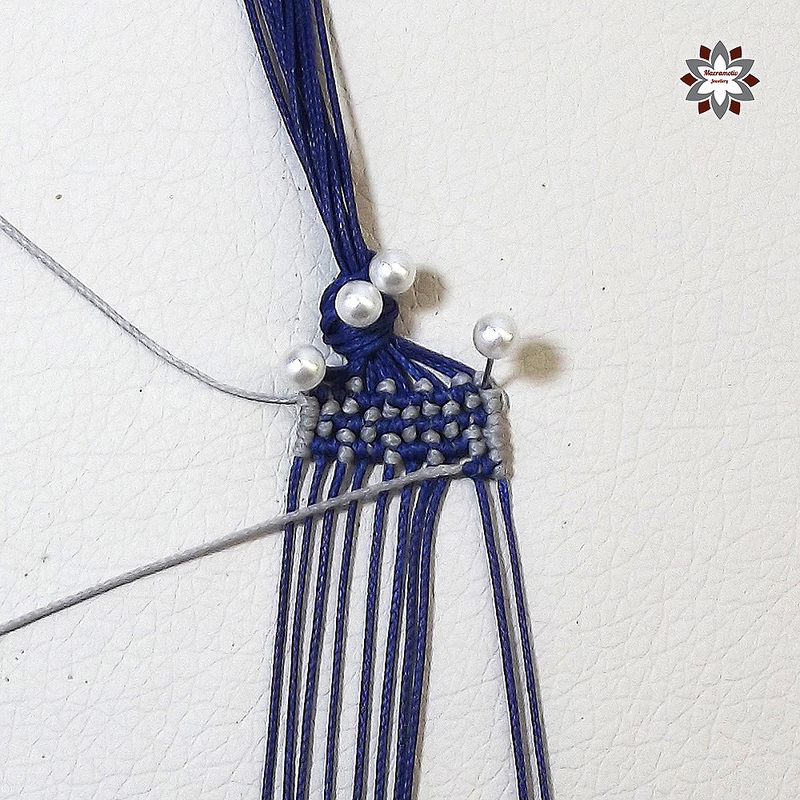 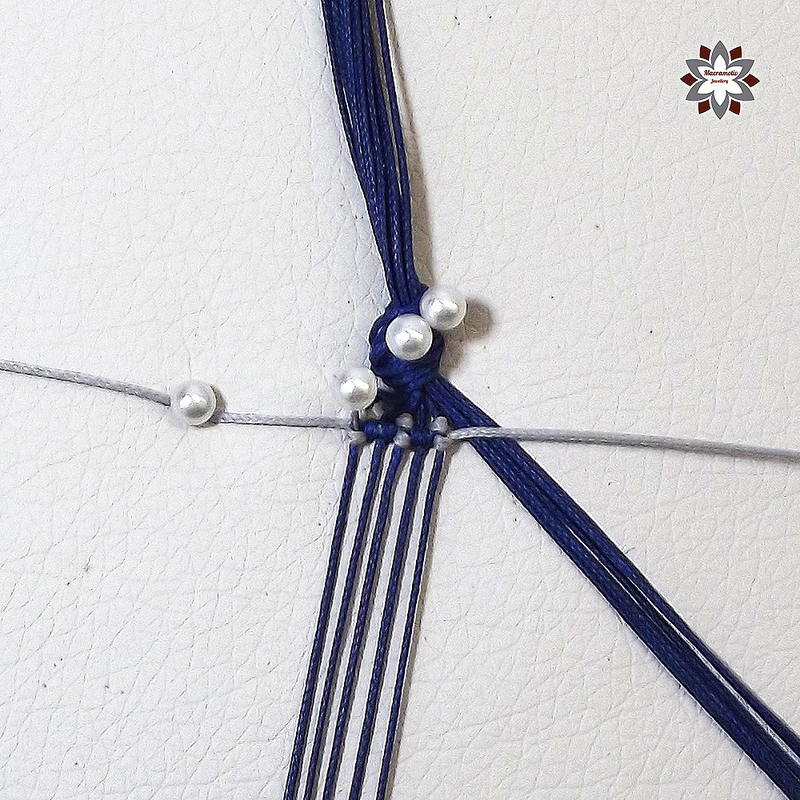 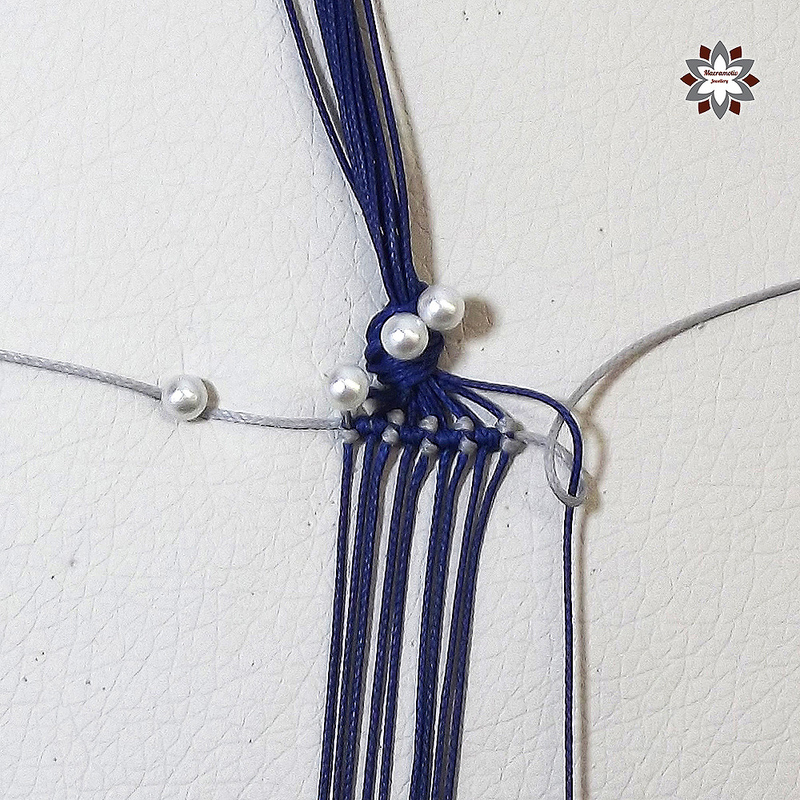 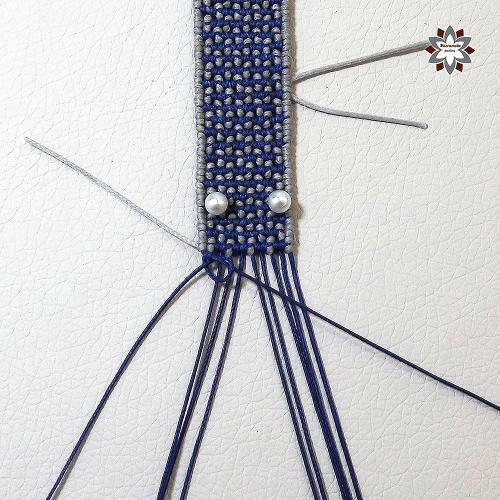 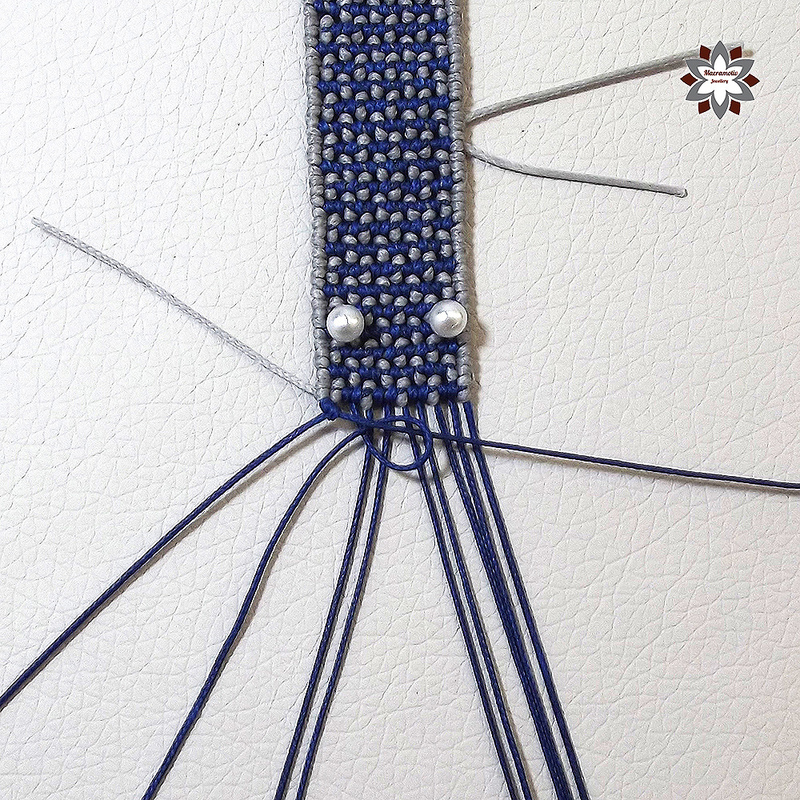 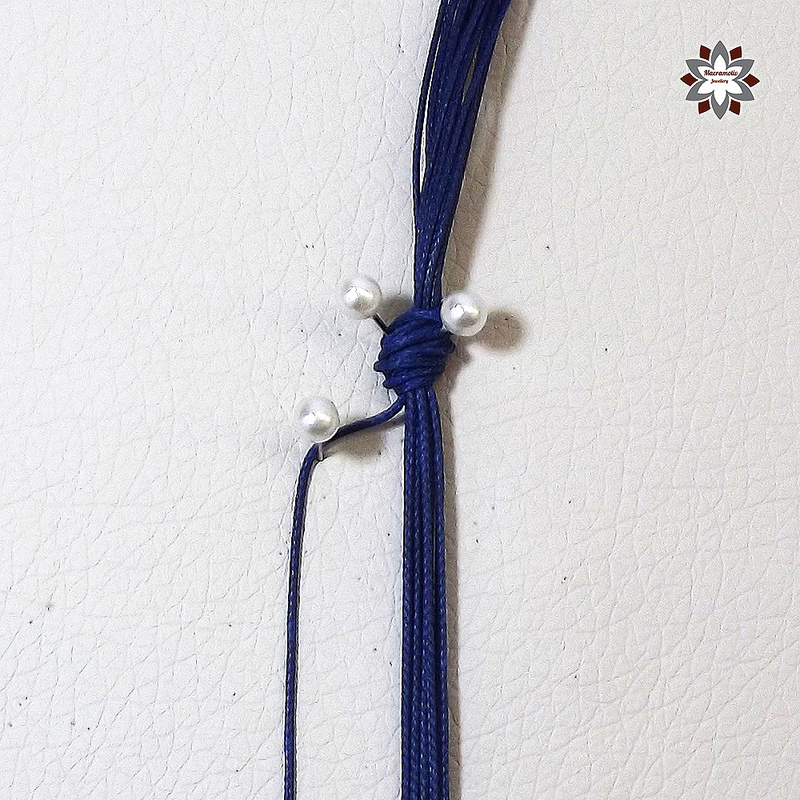 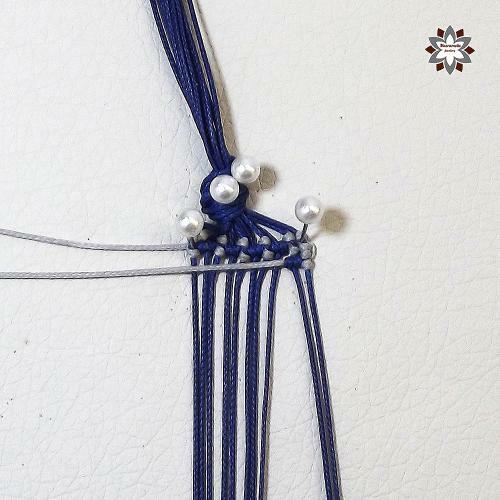 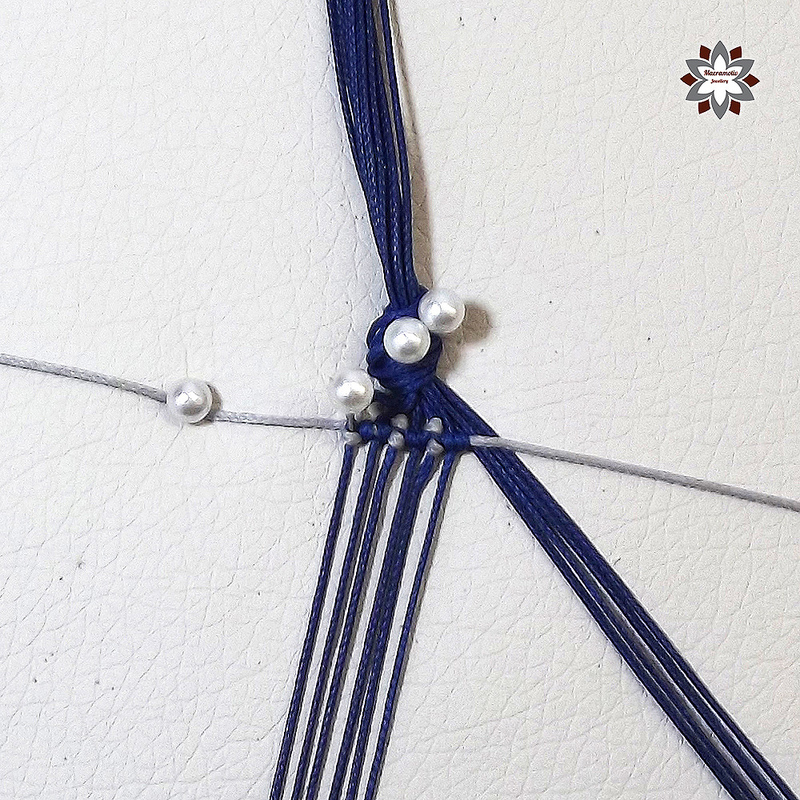 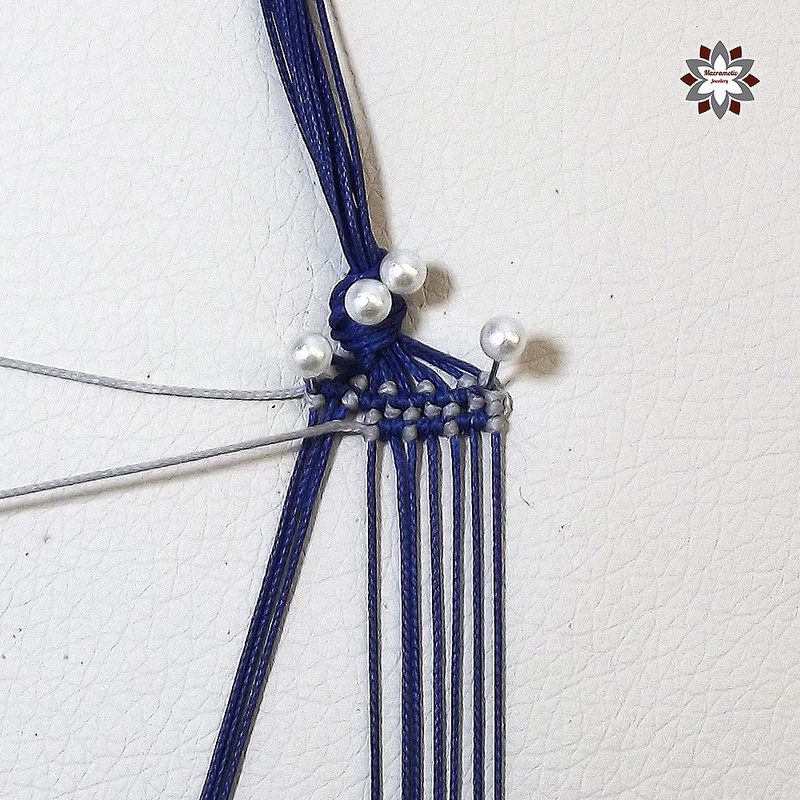 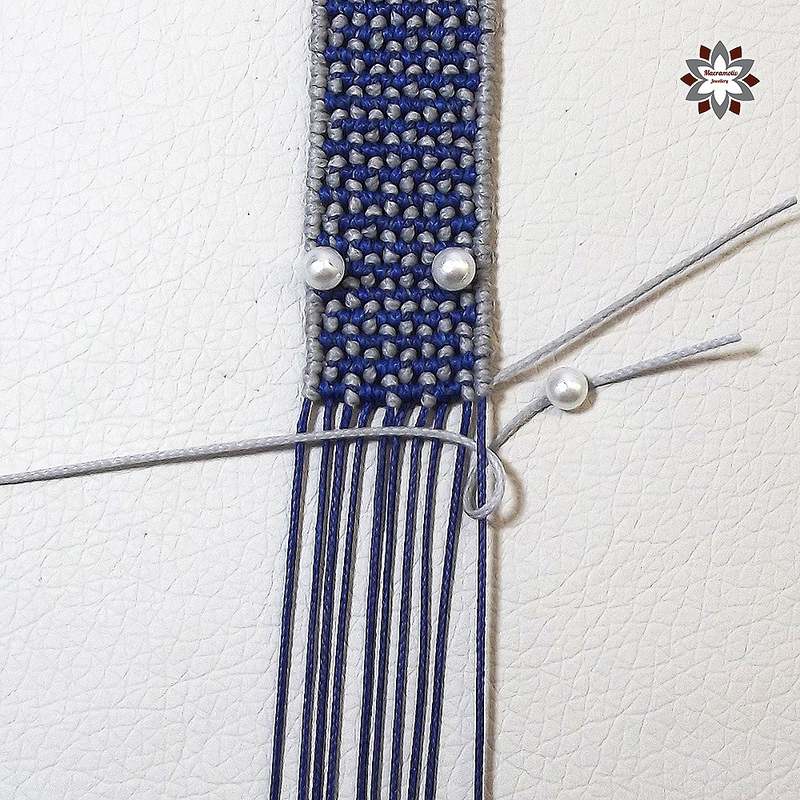 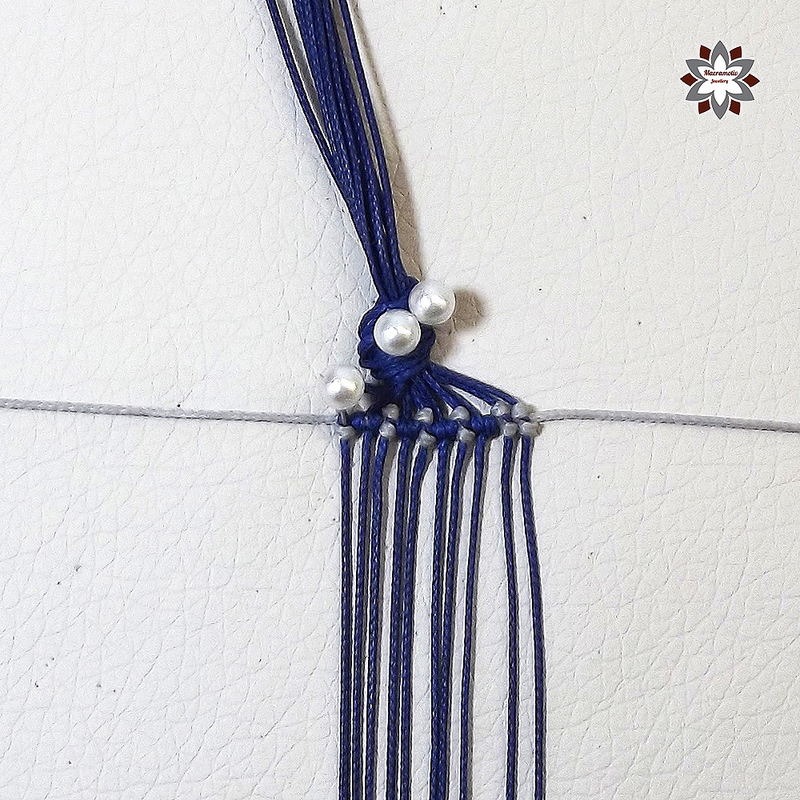 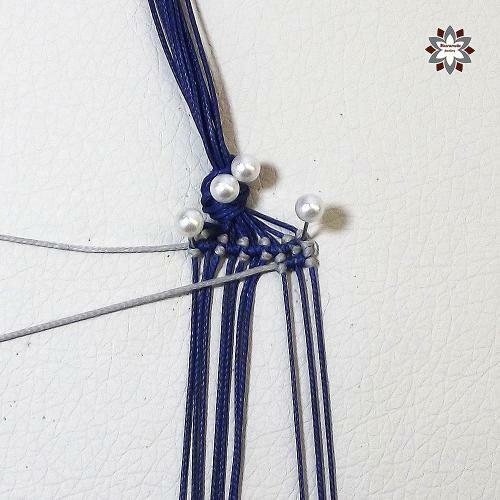 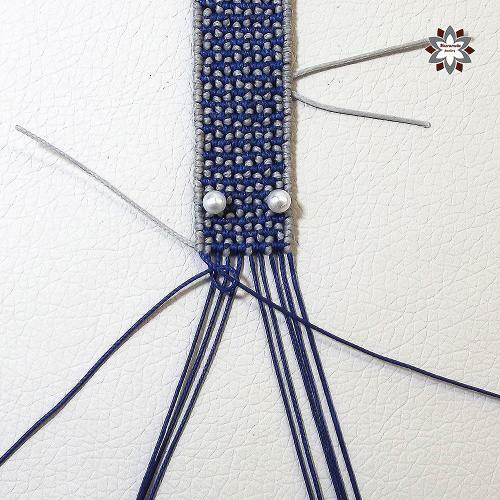 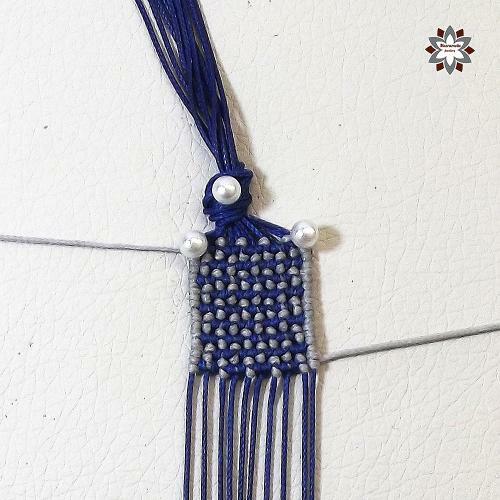 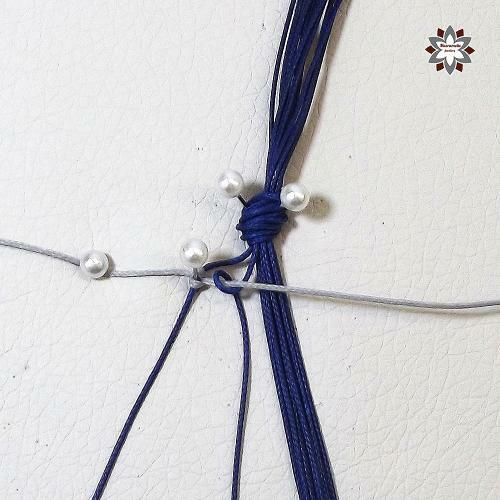 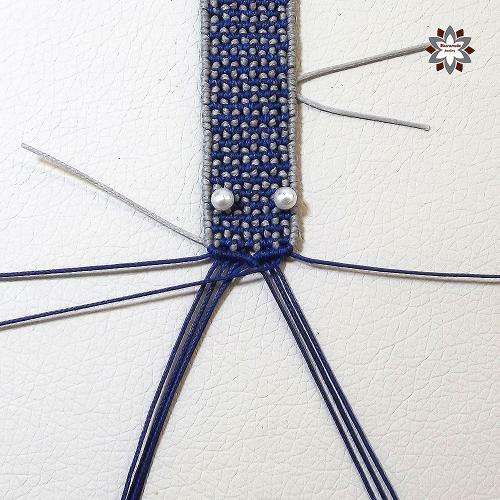 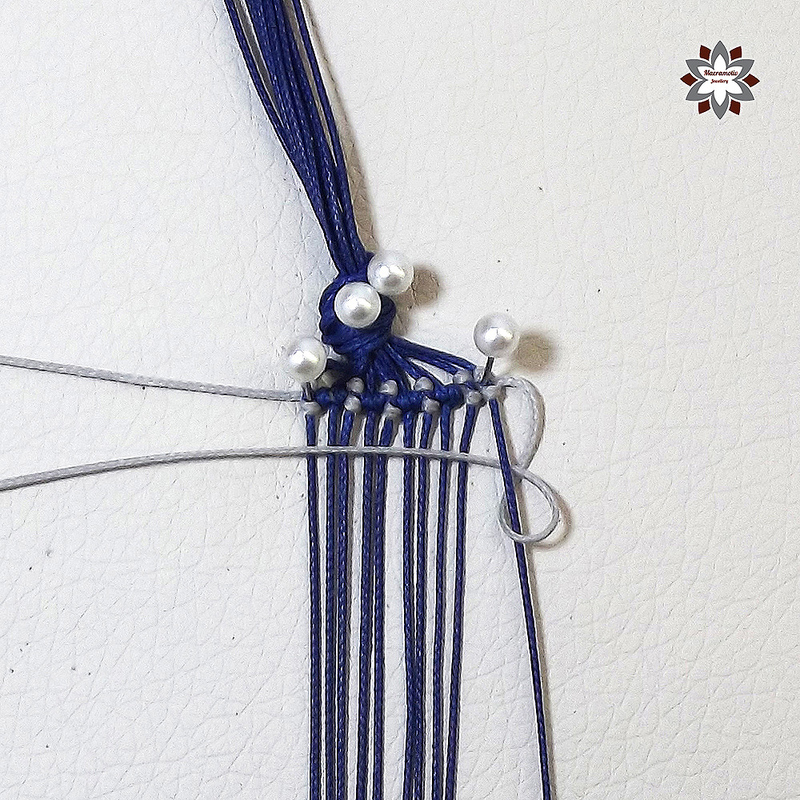 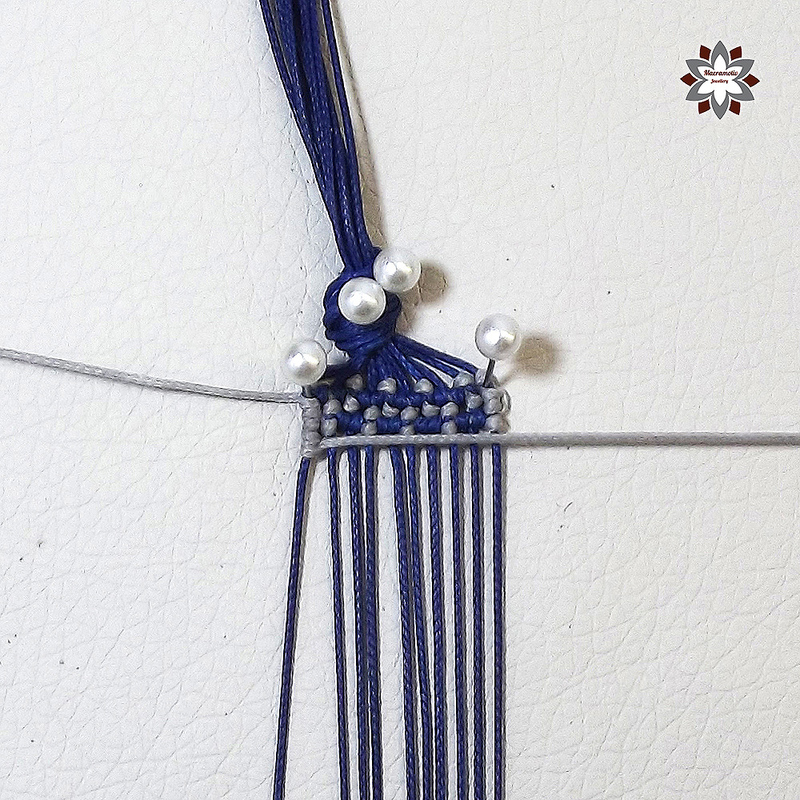 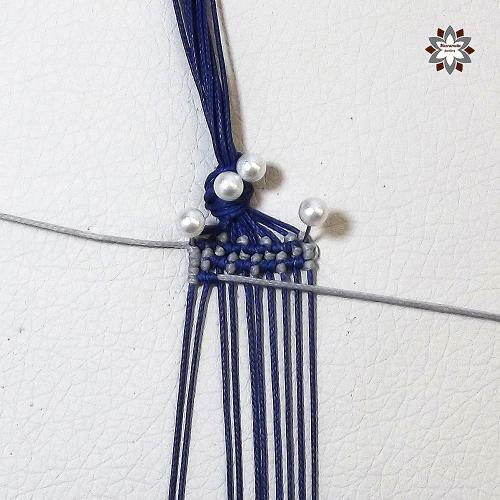 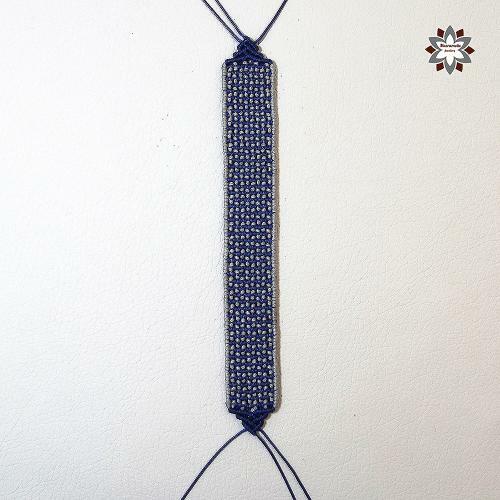 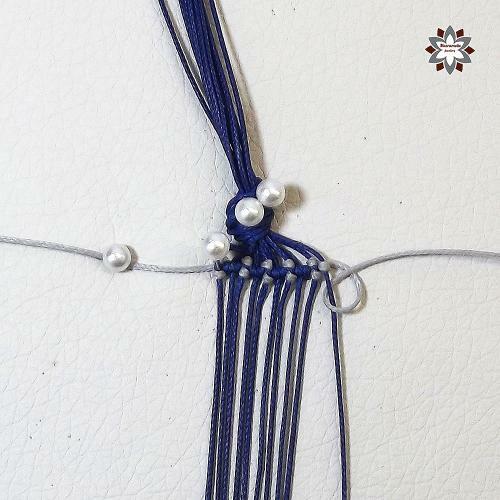 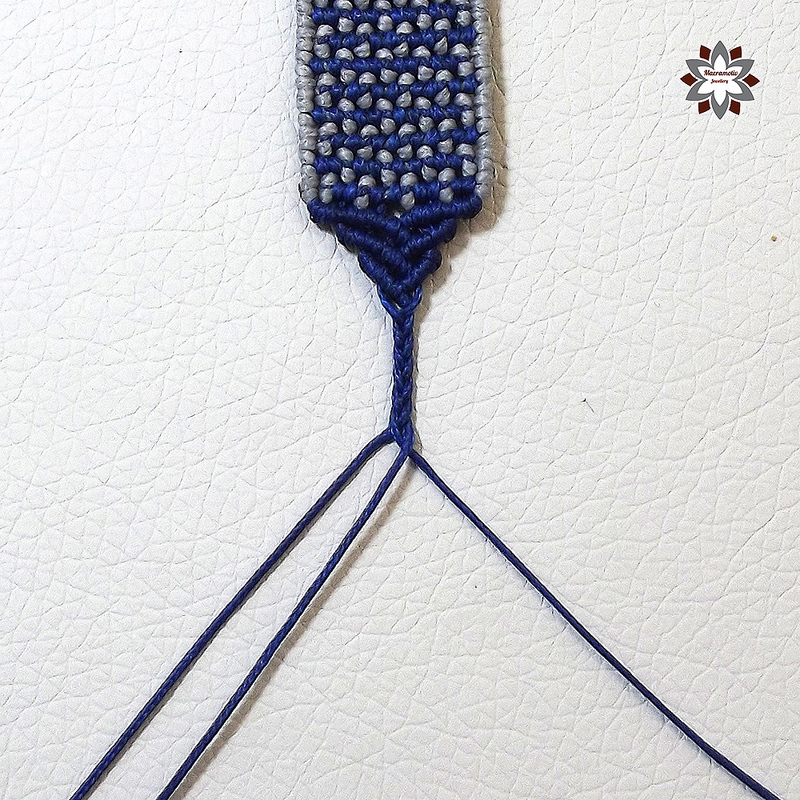 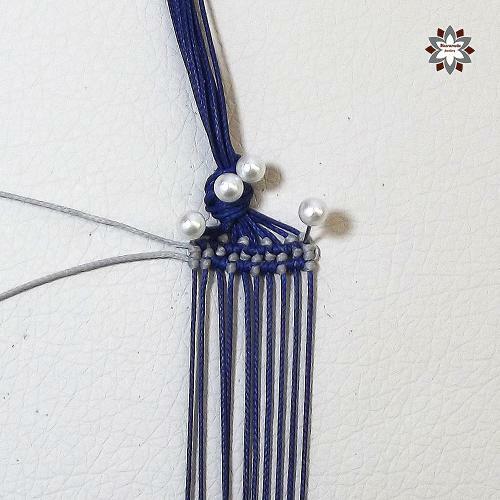 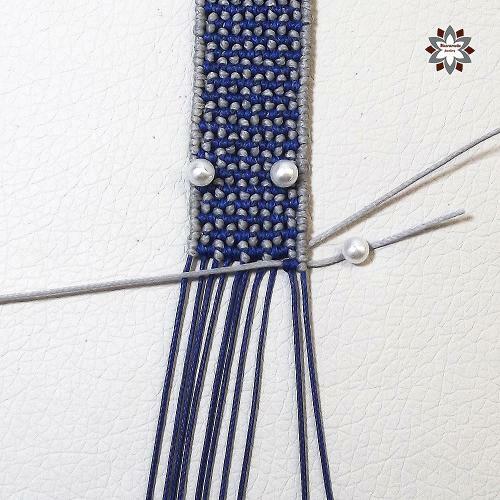 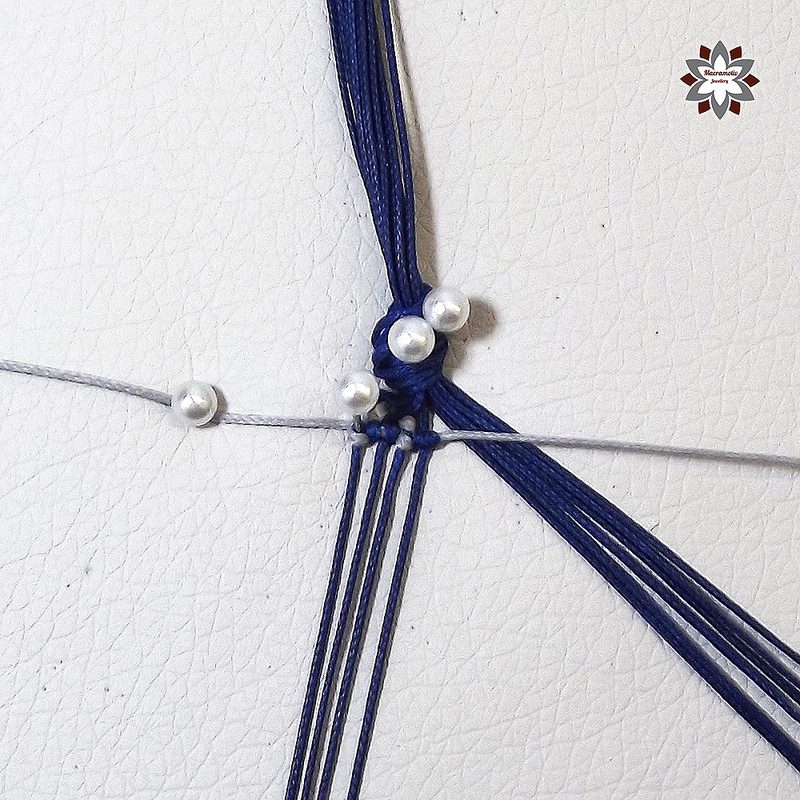 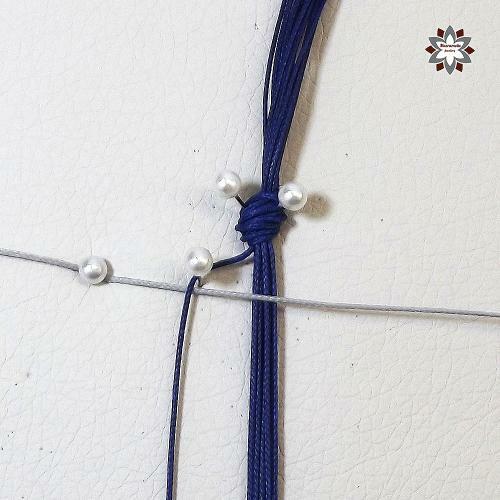 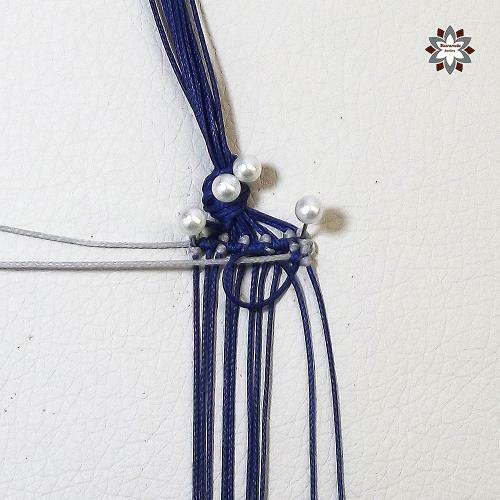 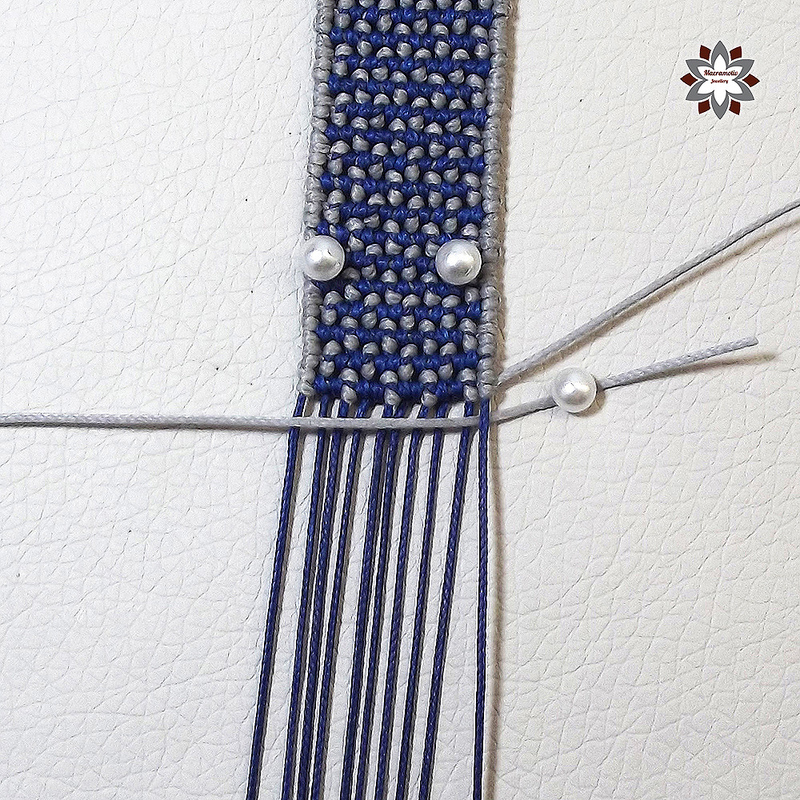 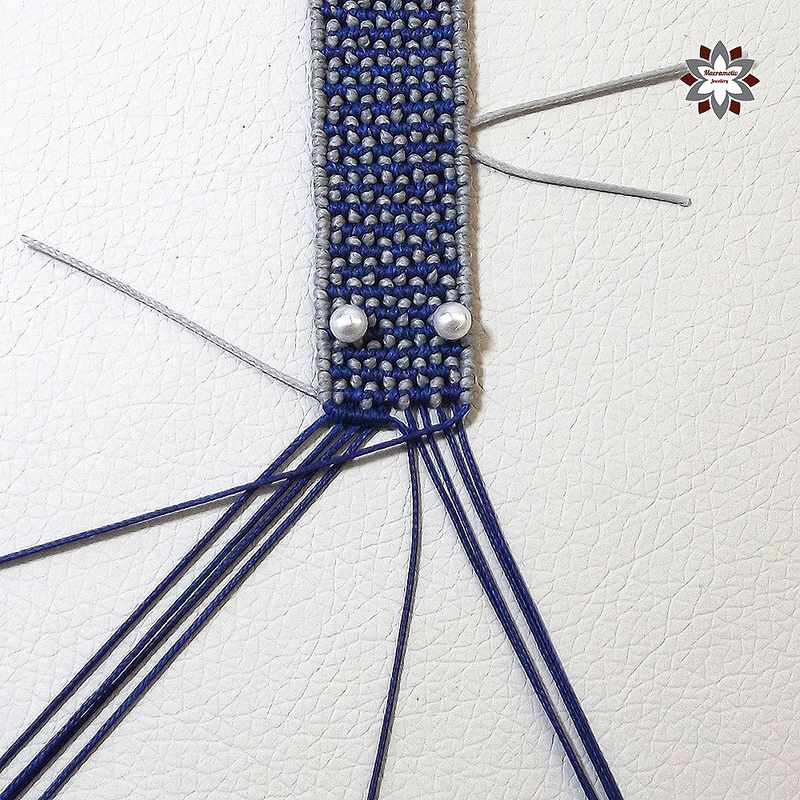 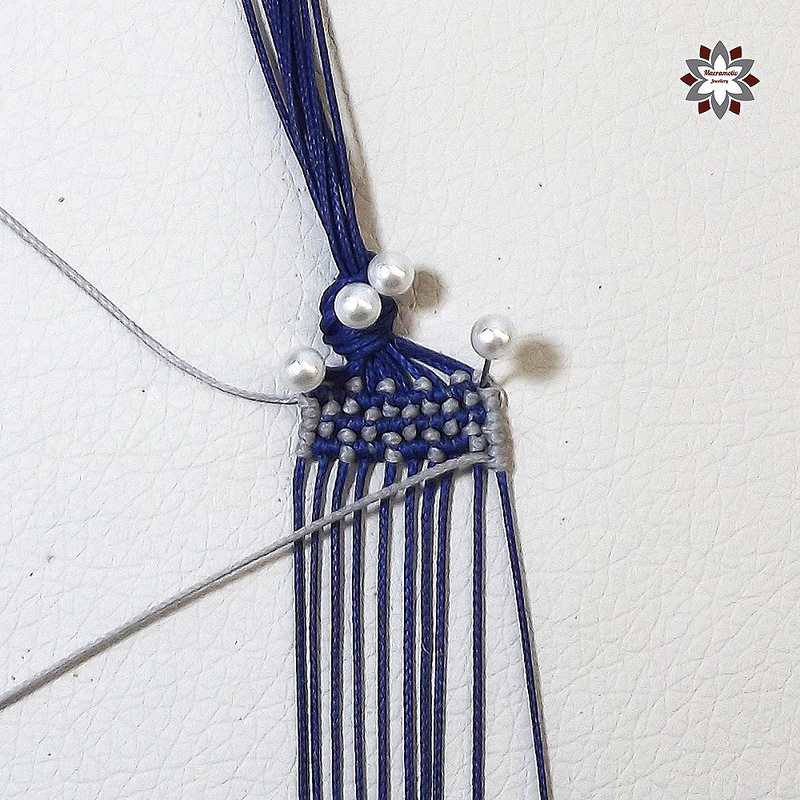 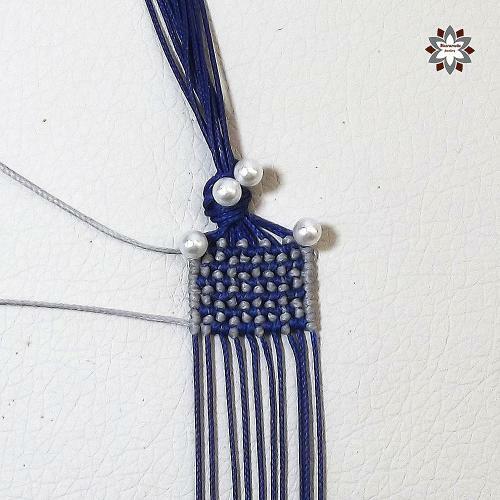 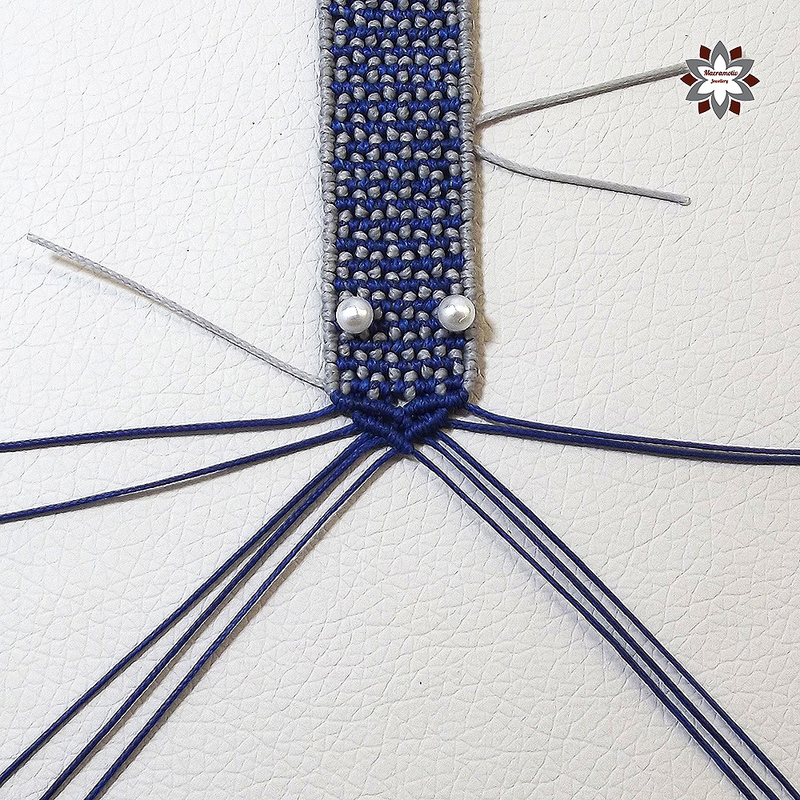 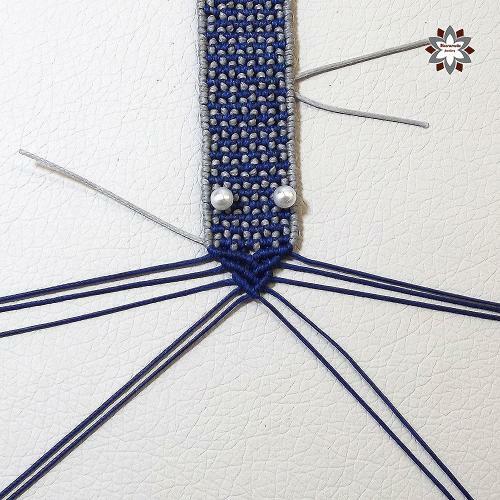 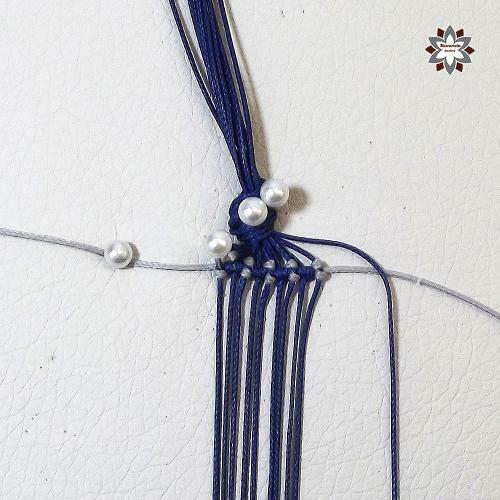 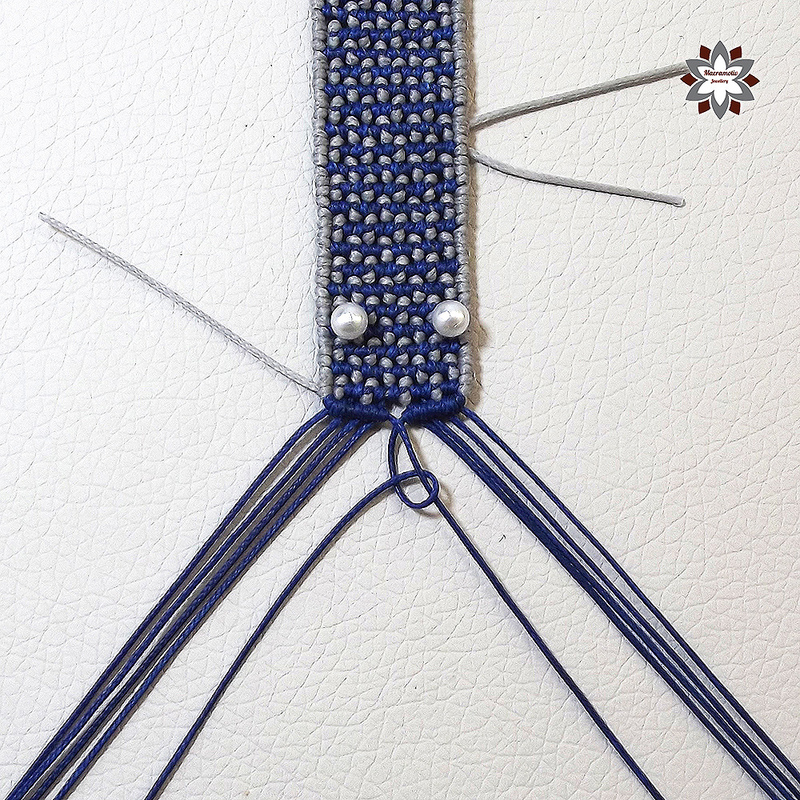 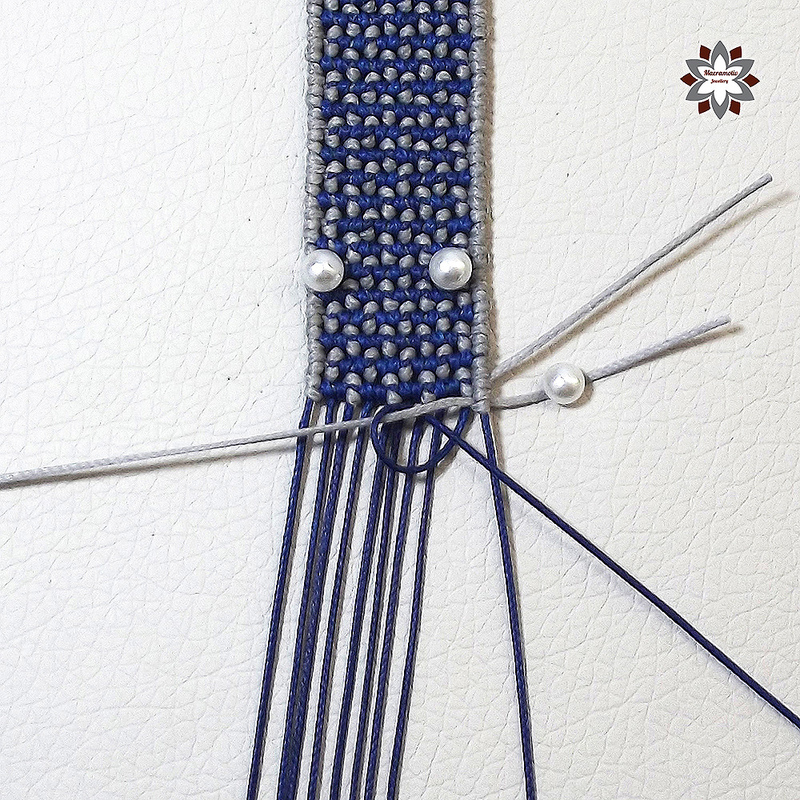 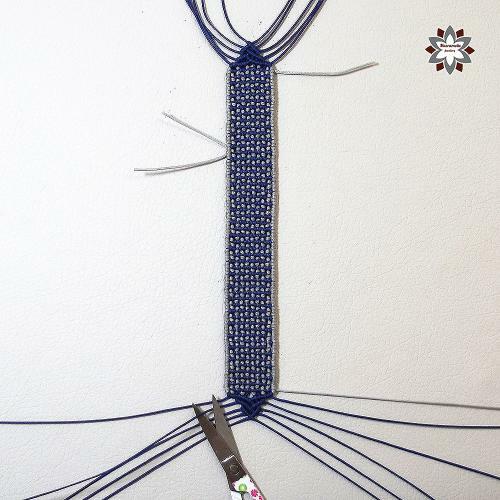 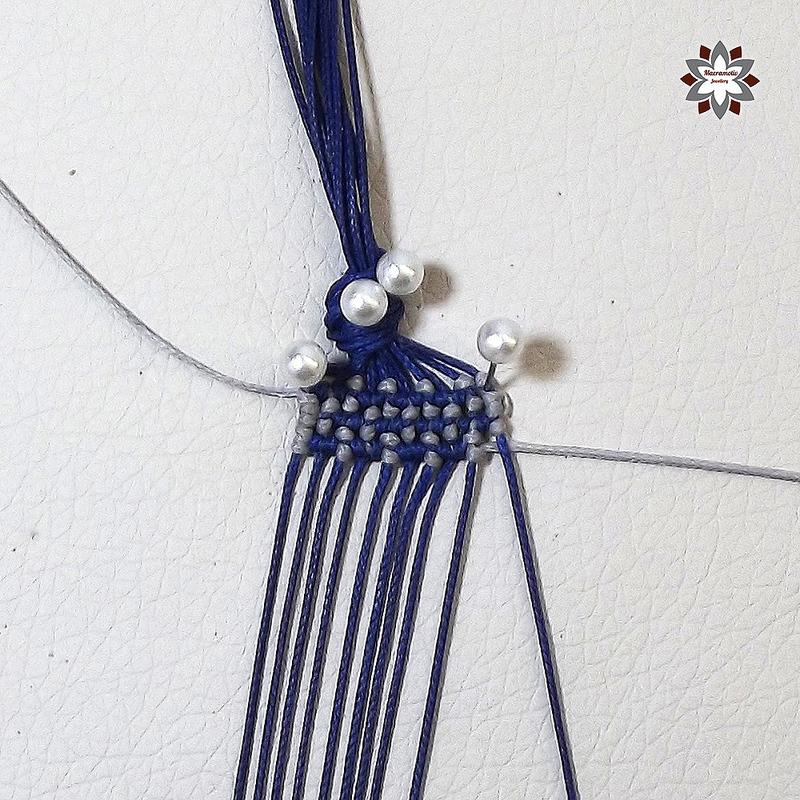 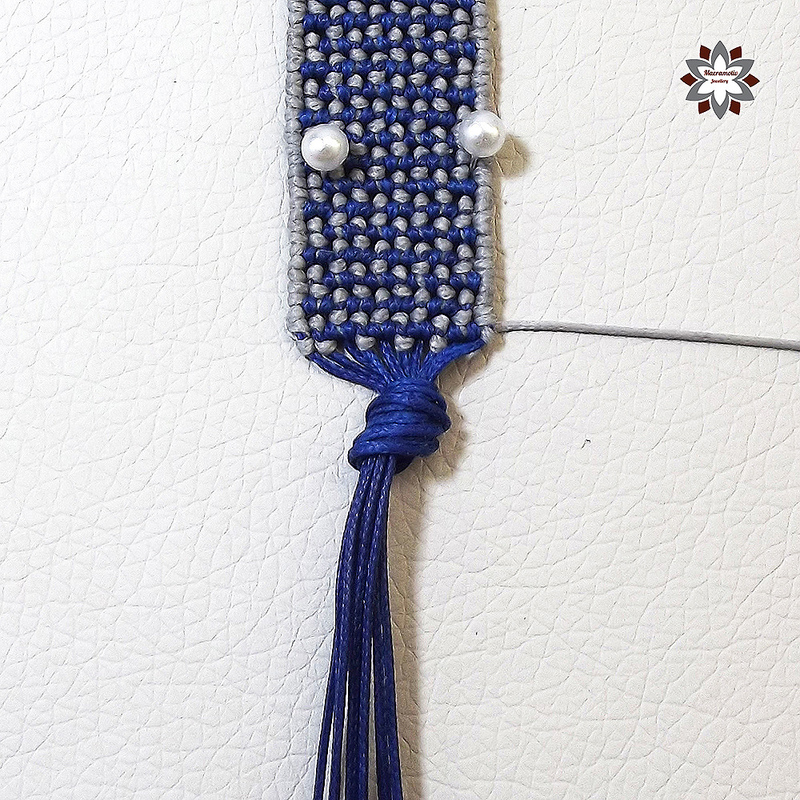 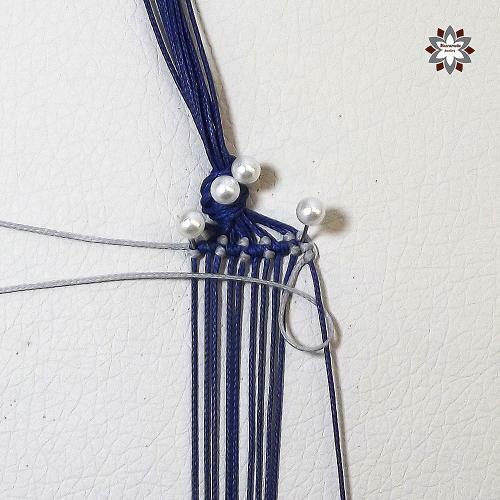 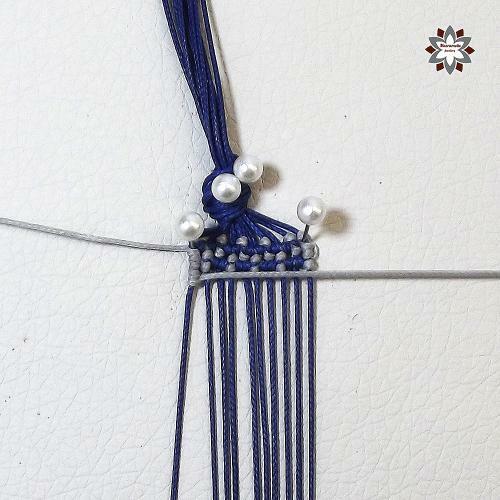 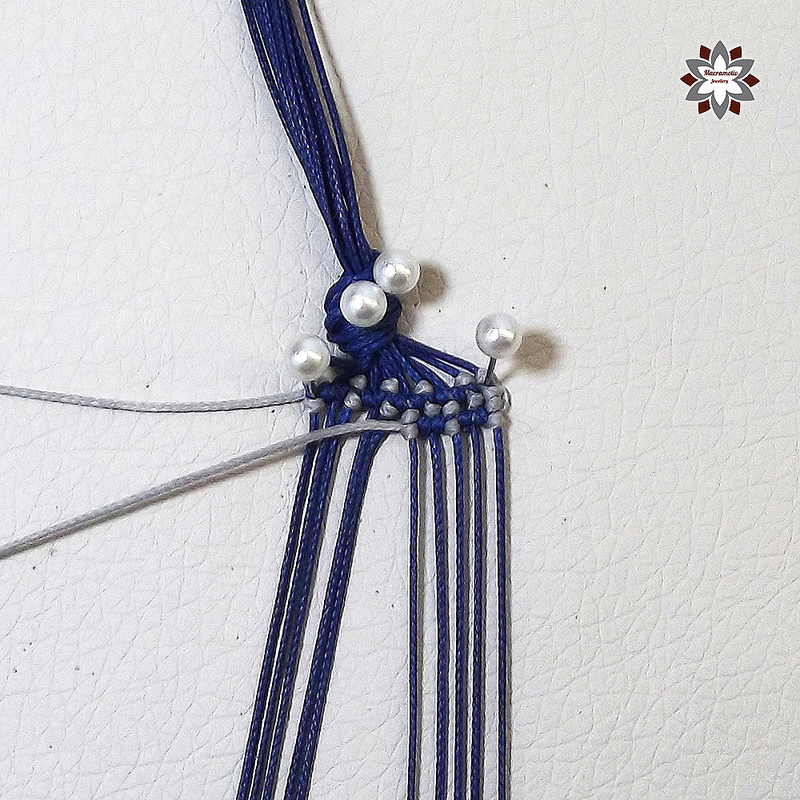 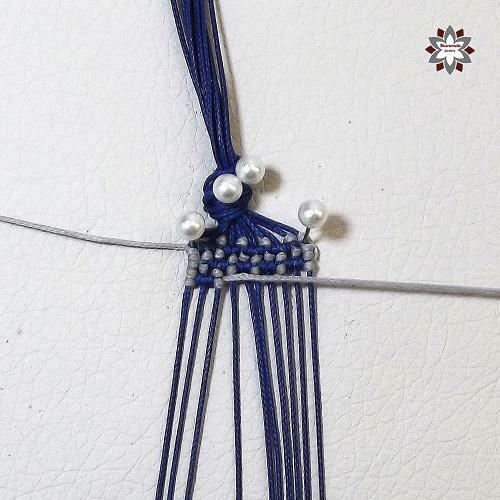 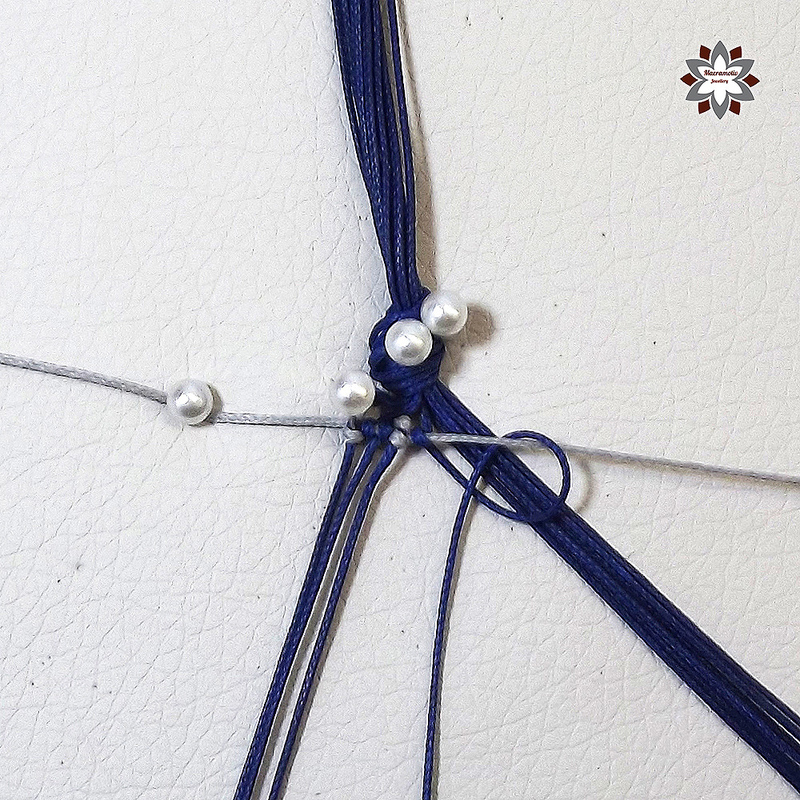 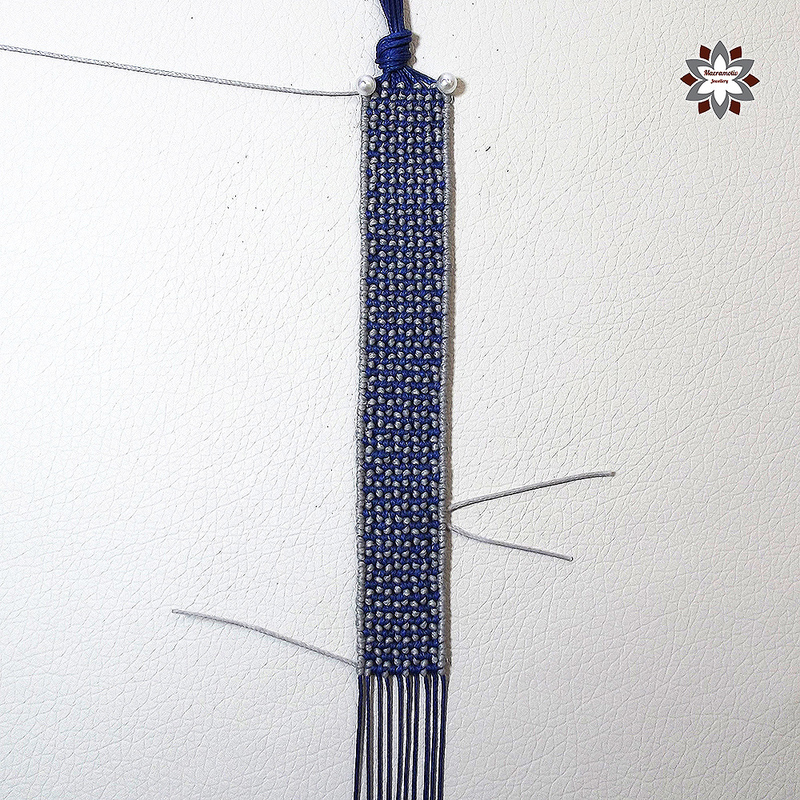 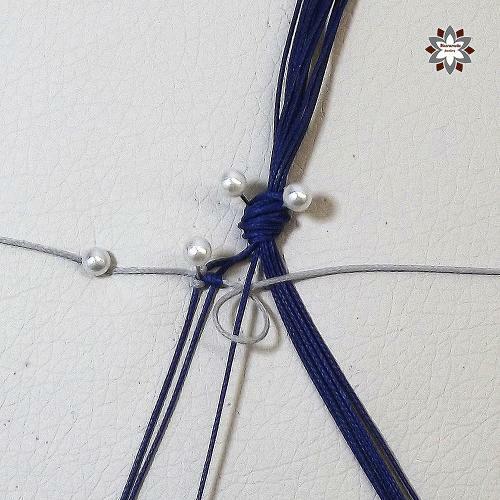 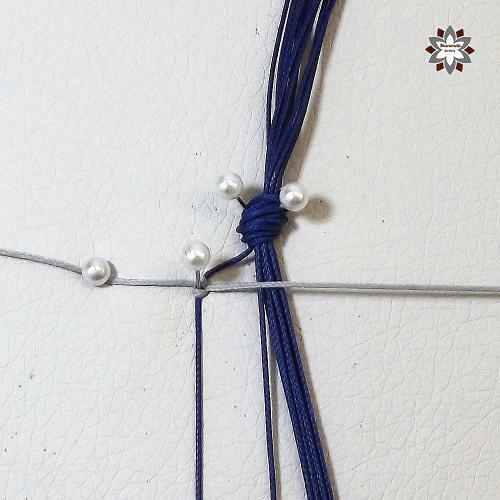 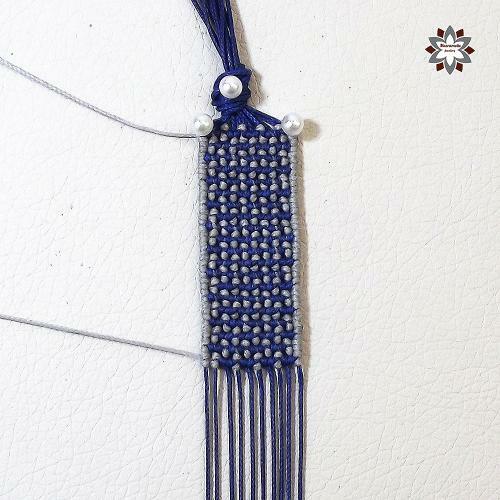 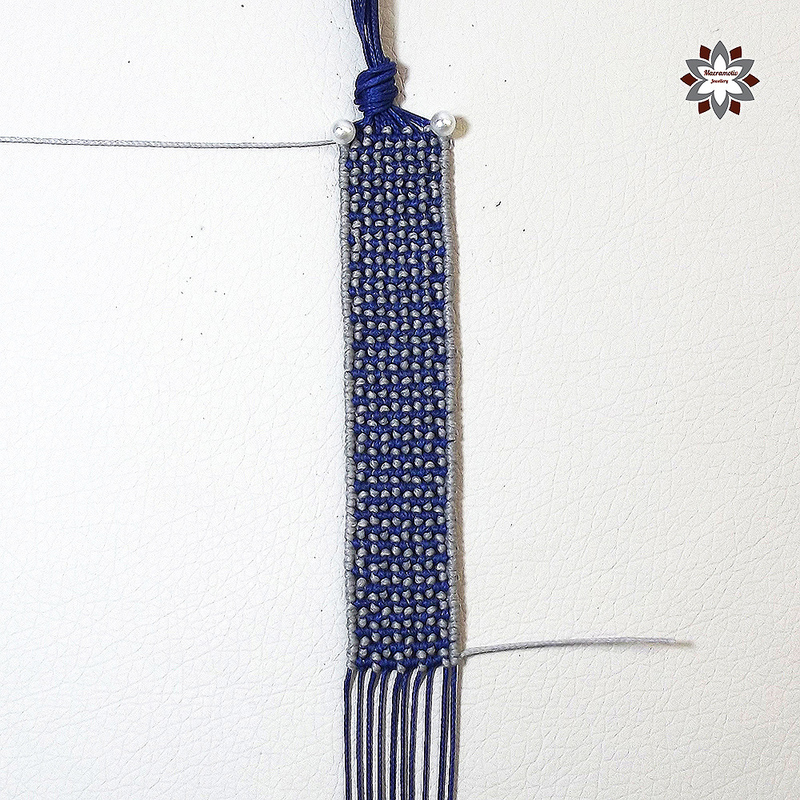 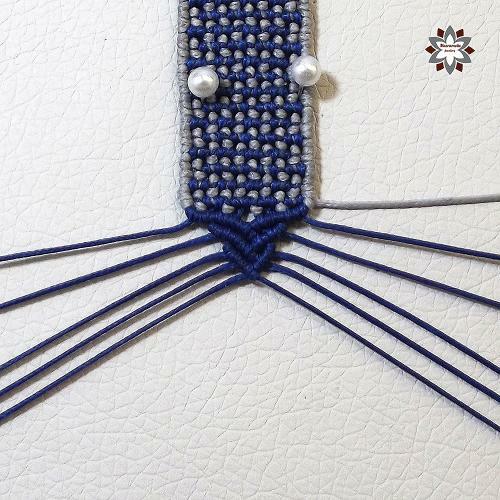 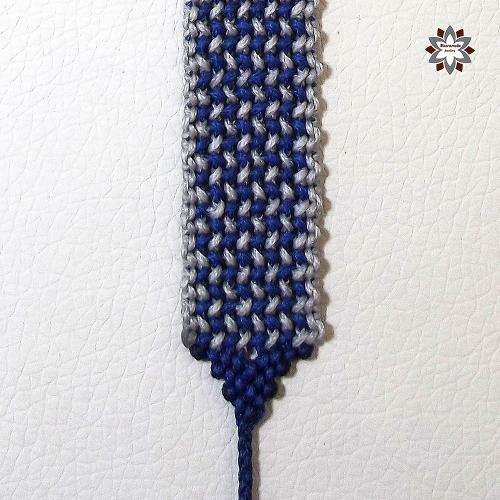 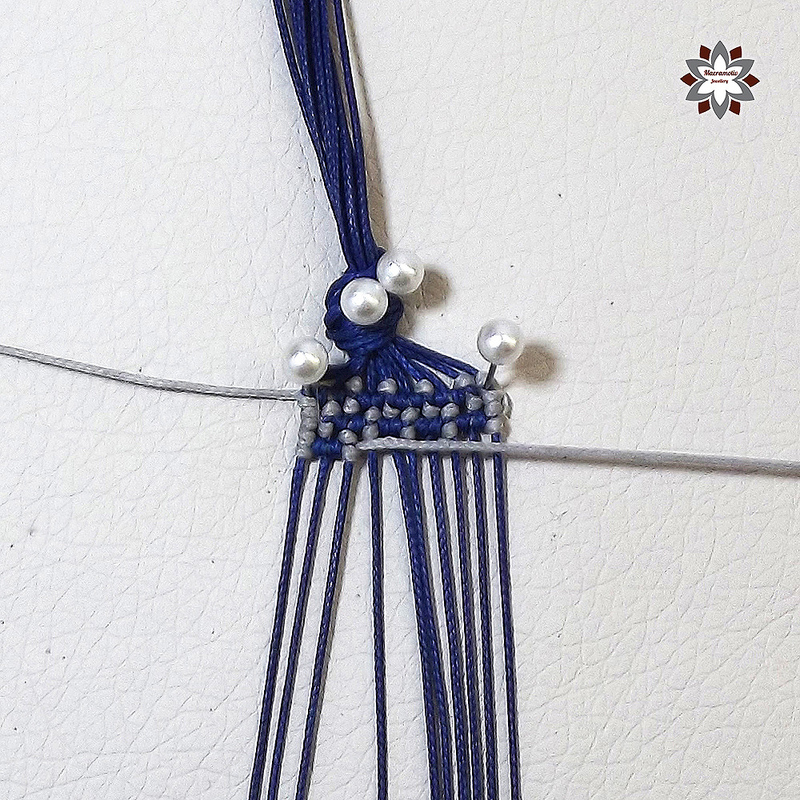 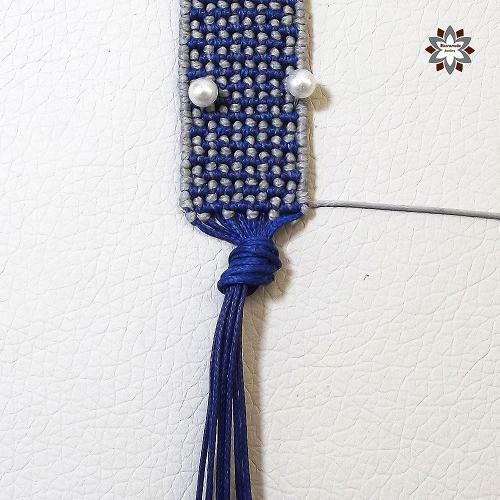 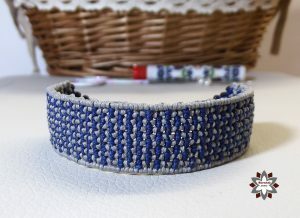 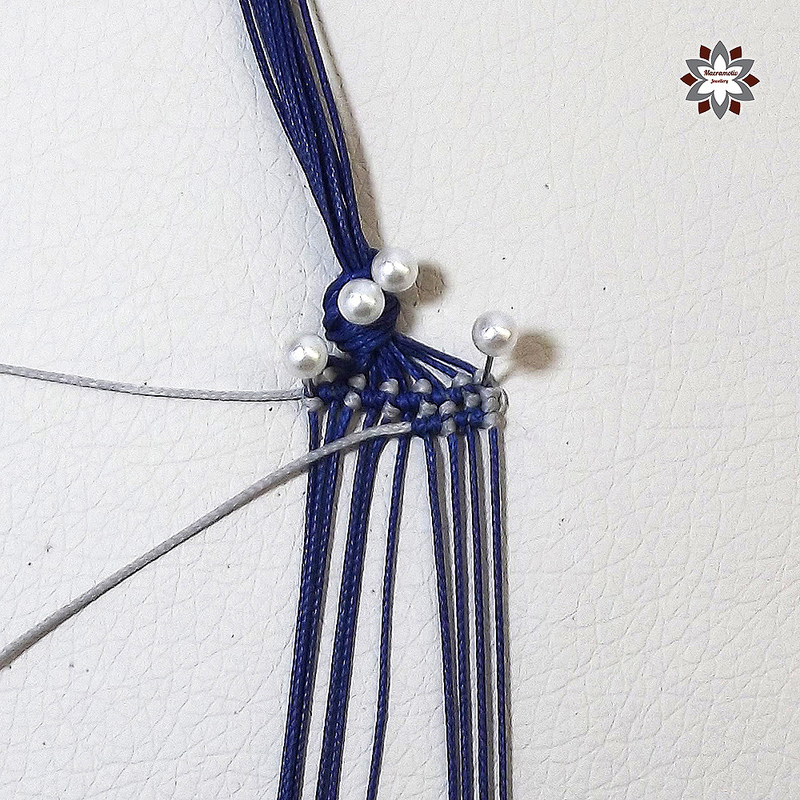 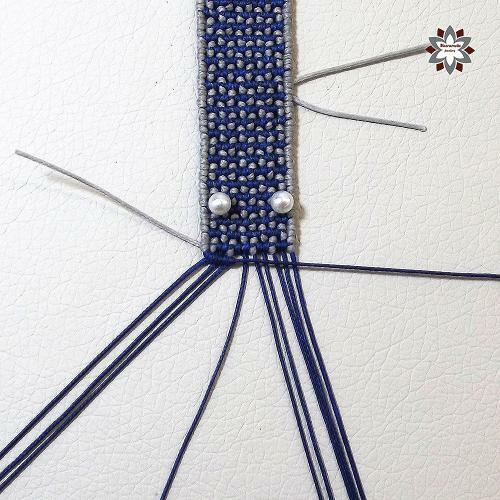 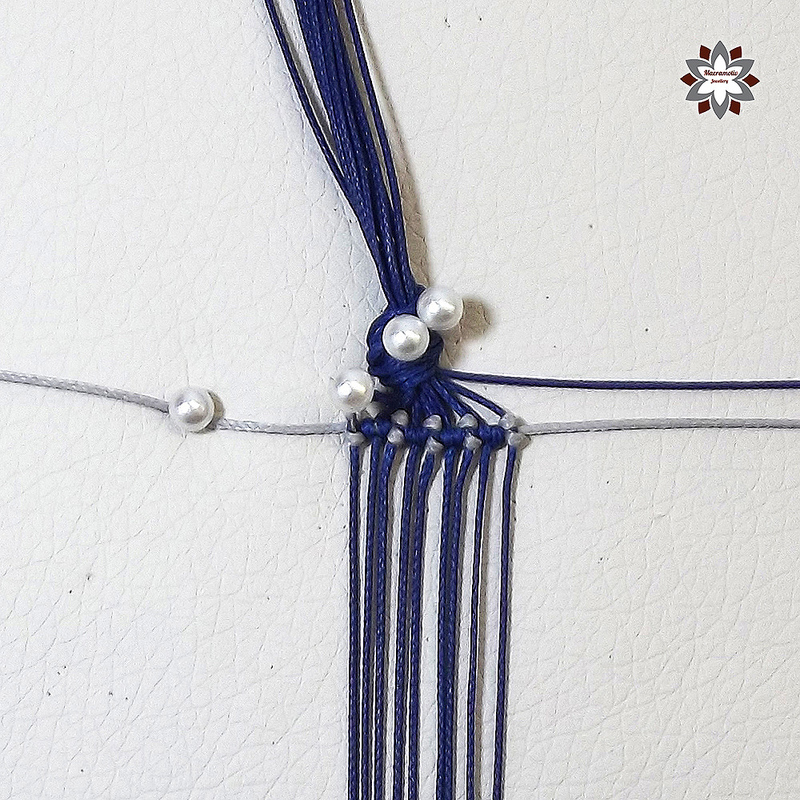 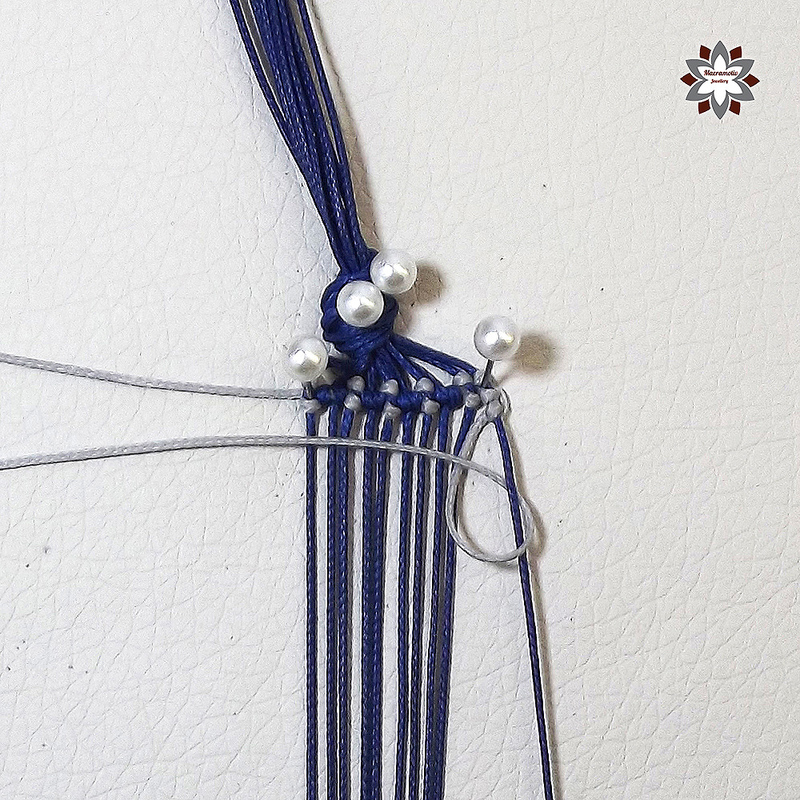 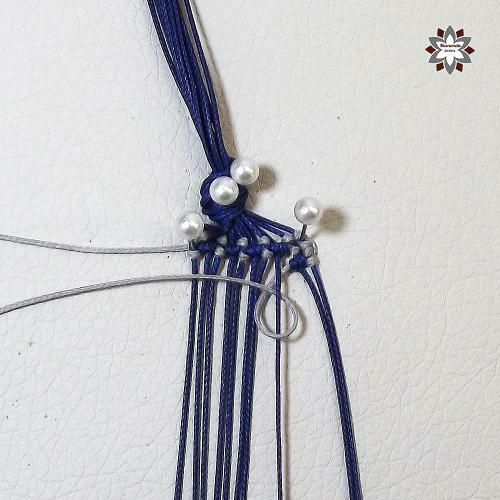 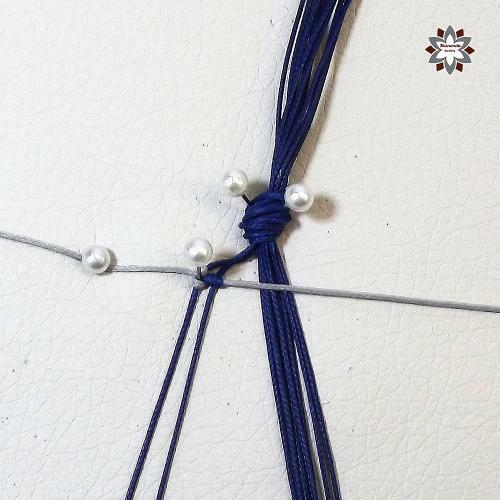 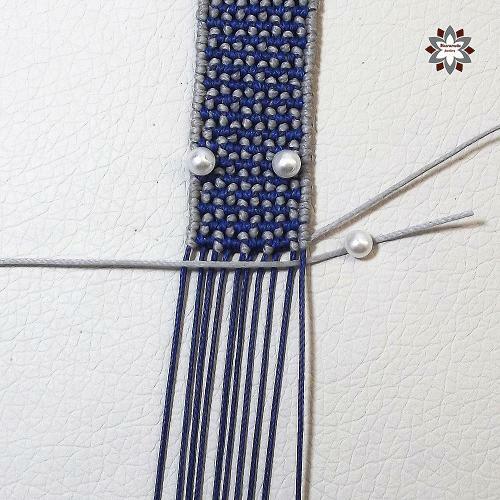 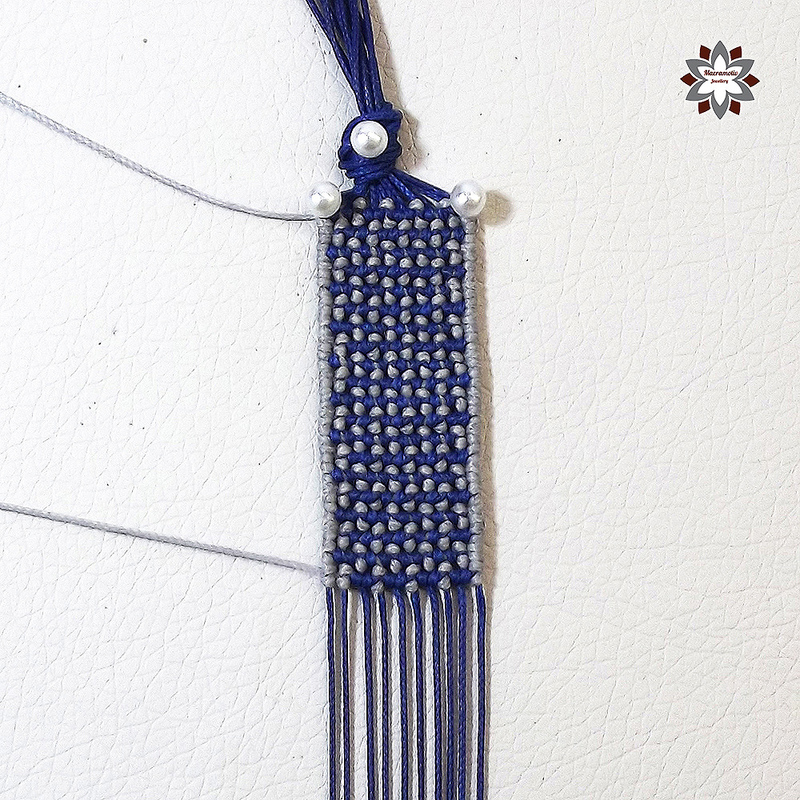 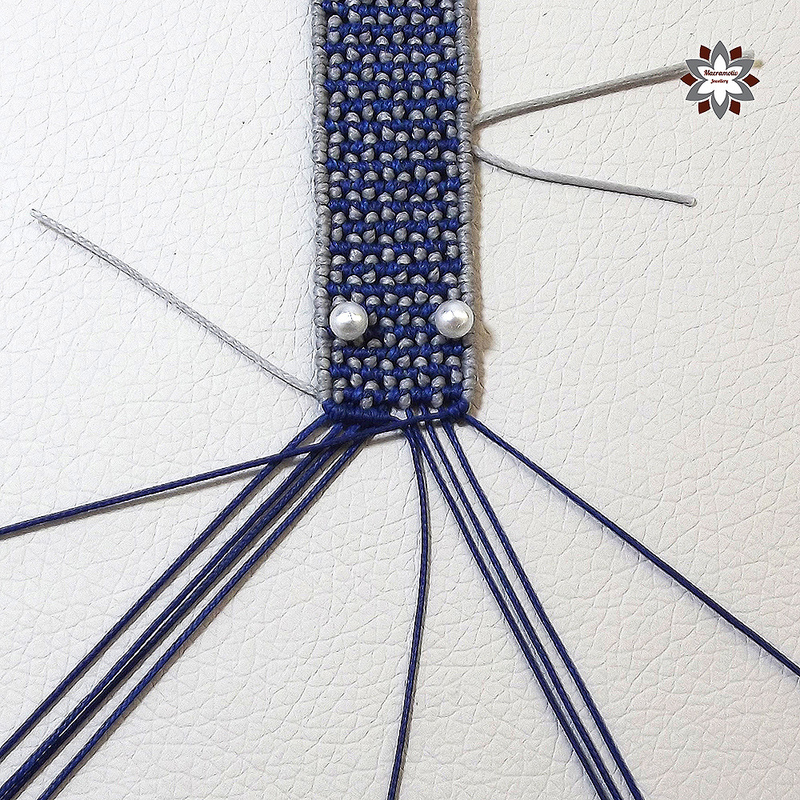 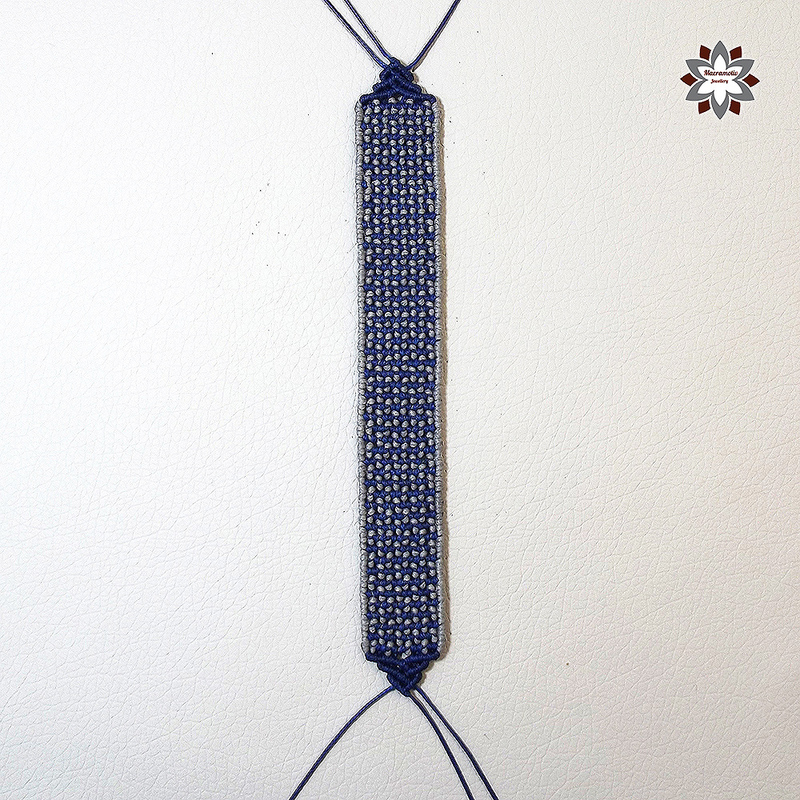 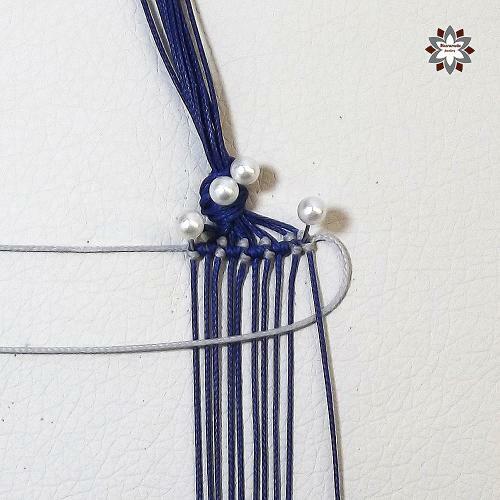 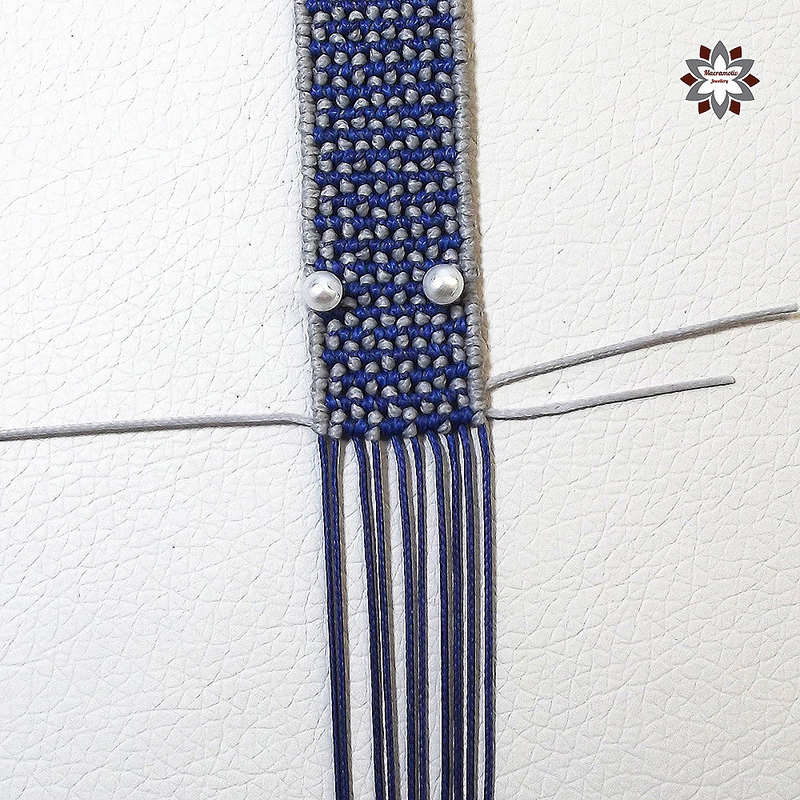 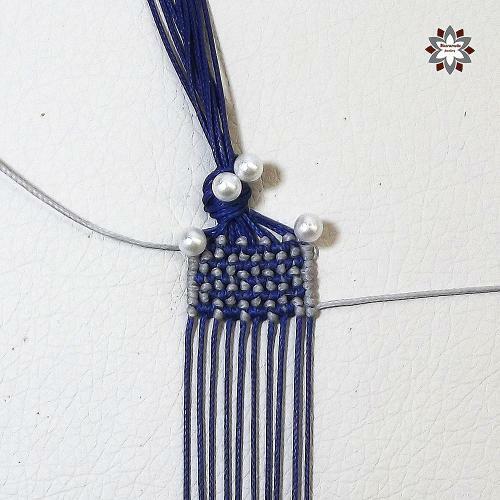 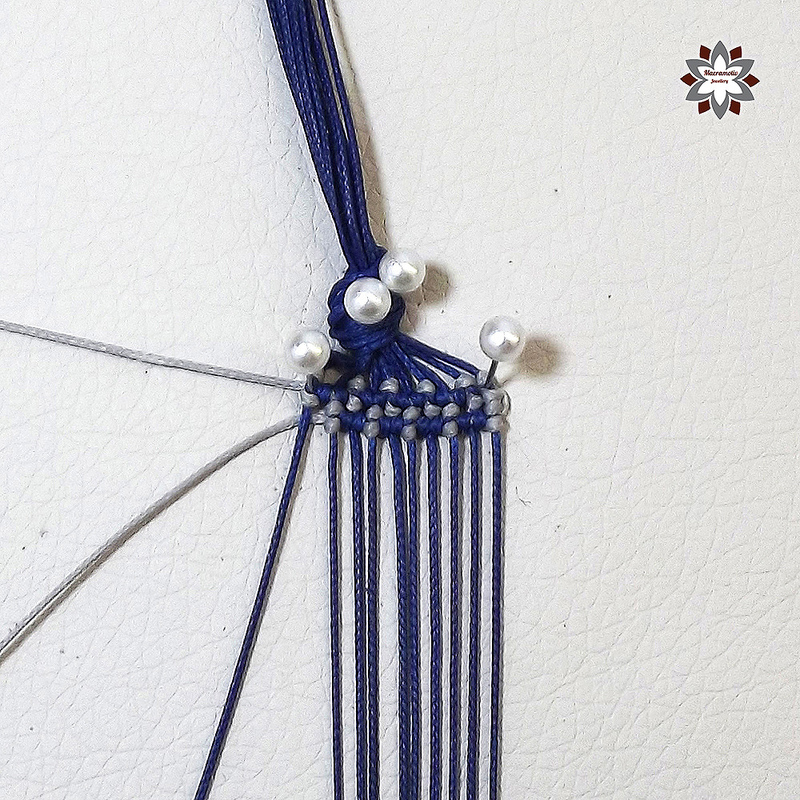 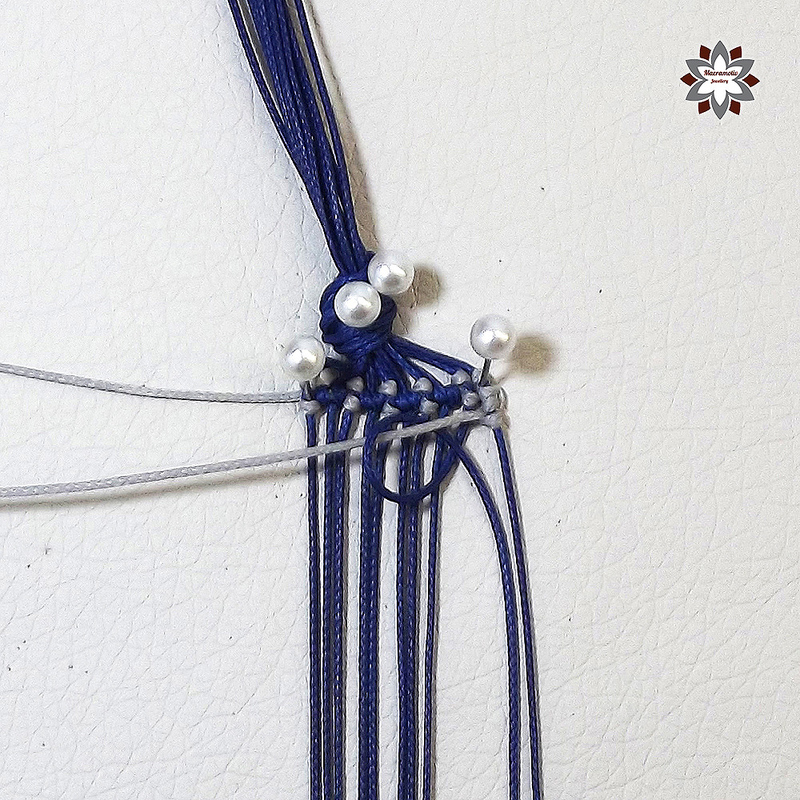 If you manage knotting with extremely long thread then you can use one piece of 4meter long grey one and it will be enough to the end of the bracelet. 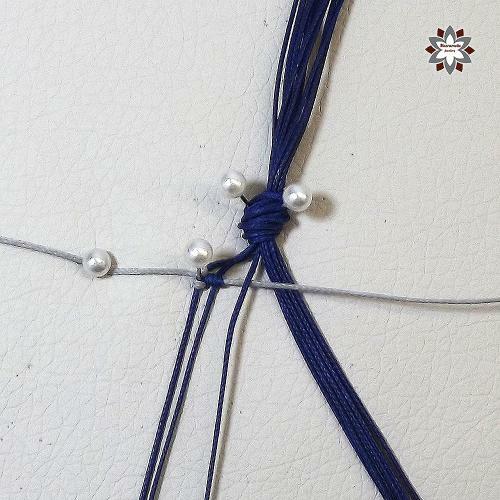 But it is easier to use 2 x 2m grey cords, you can see how I added the new one as the first grey ran out. If you like this grid pattern, check the diagonal version too: Grid I pattern bracelet. I used Amann Serabraid T90 braided waxed polyester cord in this project, if you have any questions about the cords I use or the macrame board I work on, please visit FAQ first. 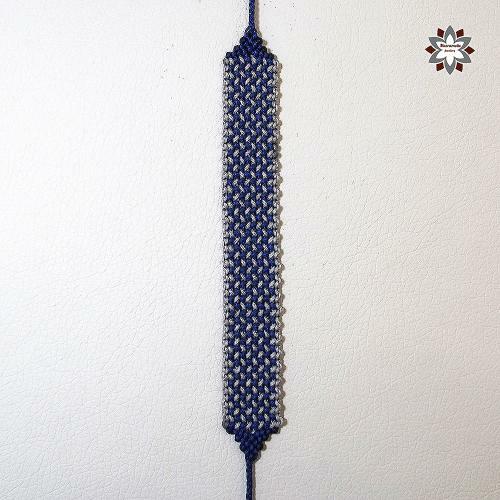 2 x 45cm blue waxed polyester cord (0,9mm), first and last blue ones.